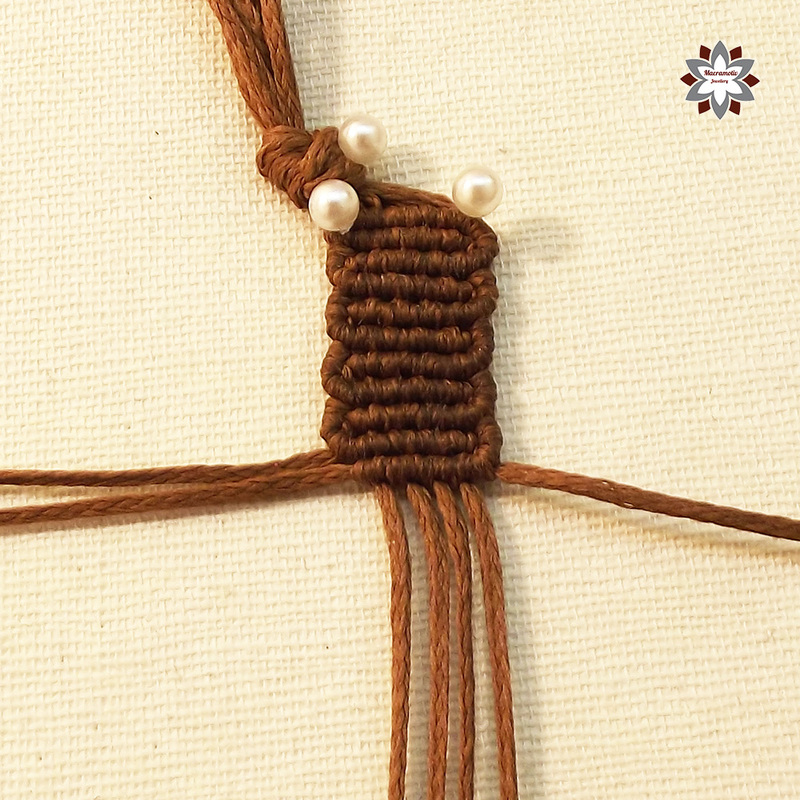 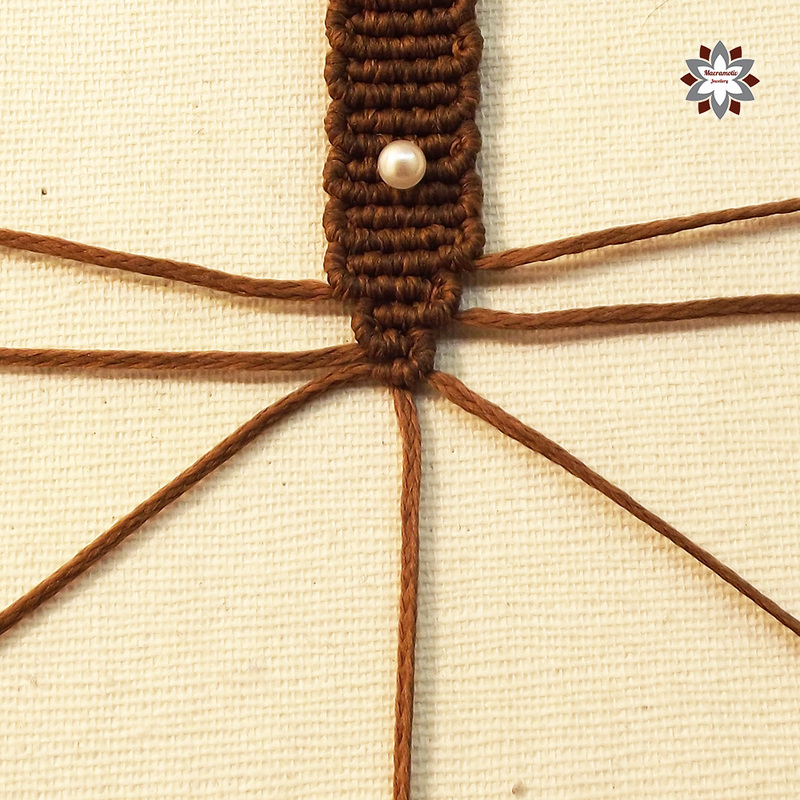 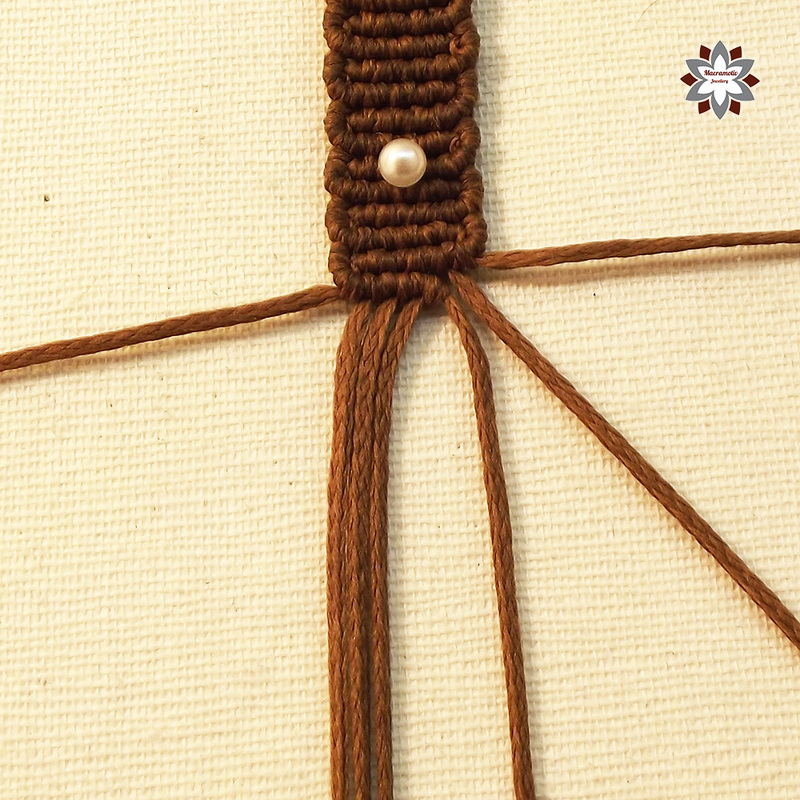 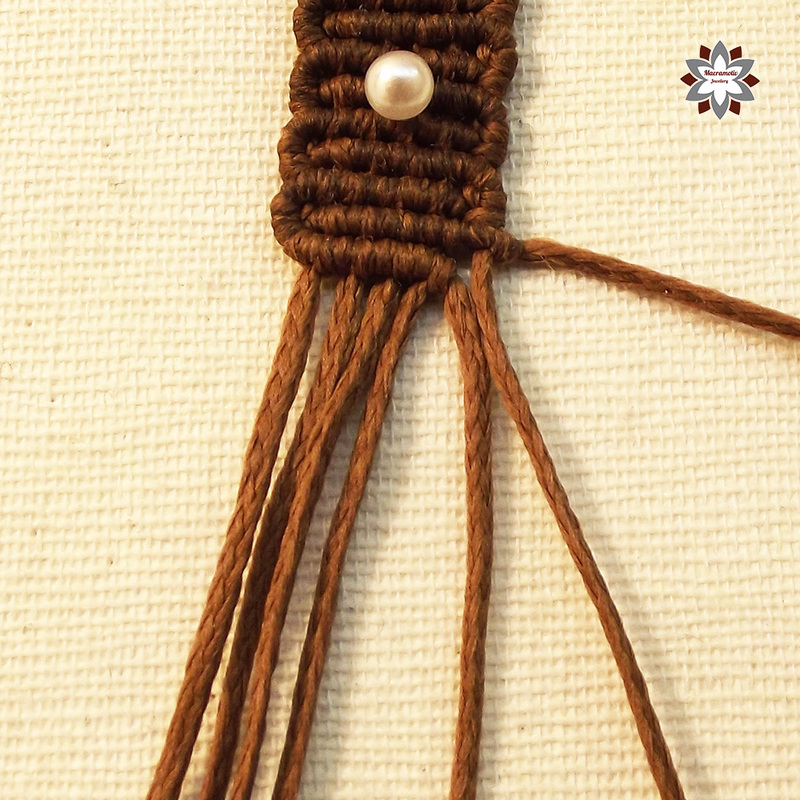 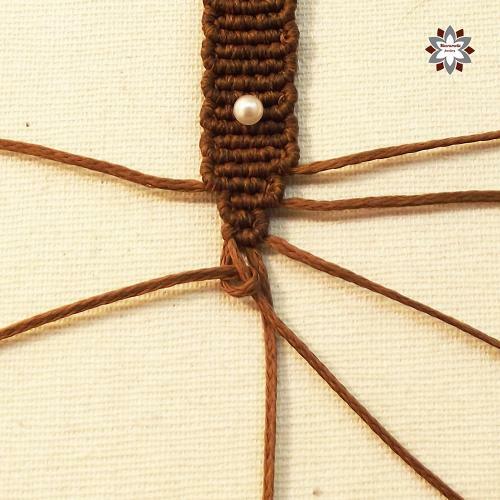 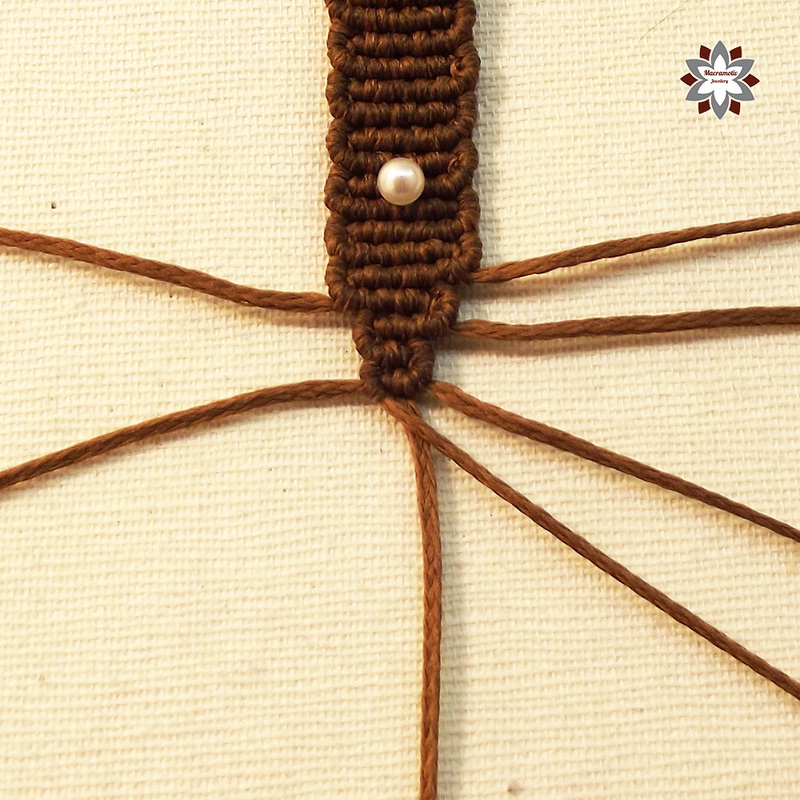 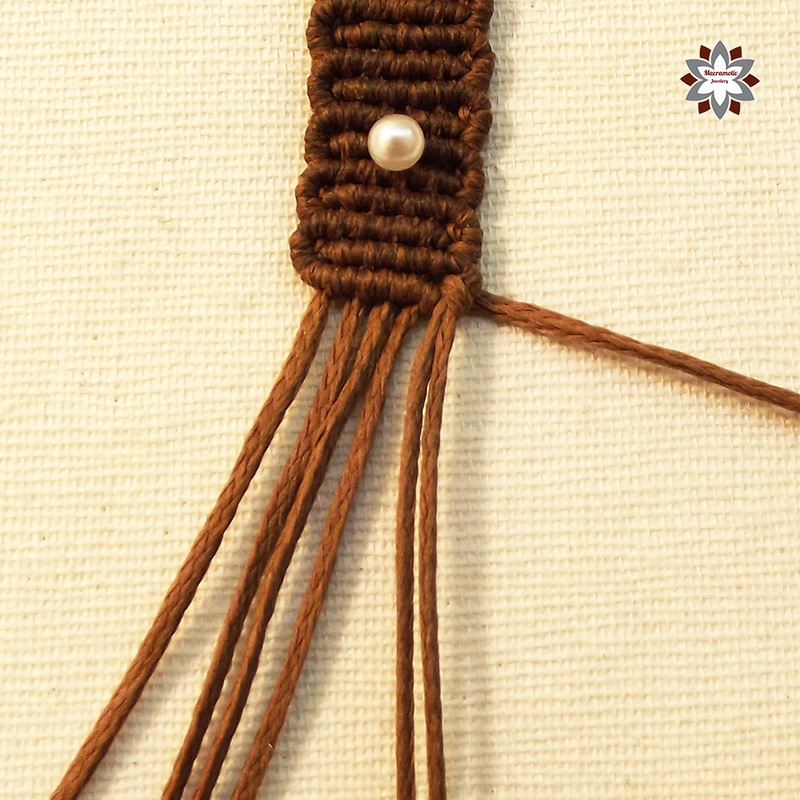 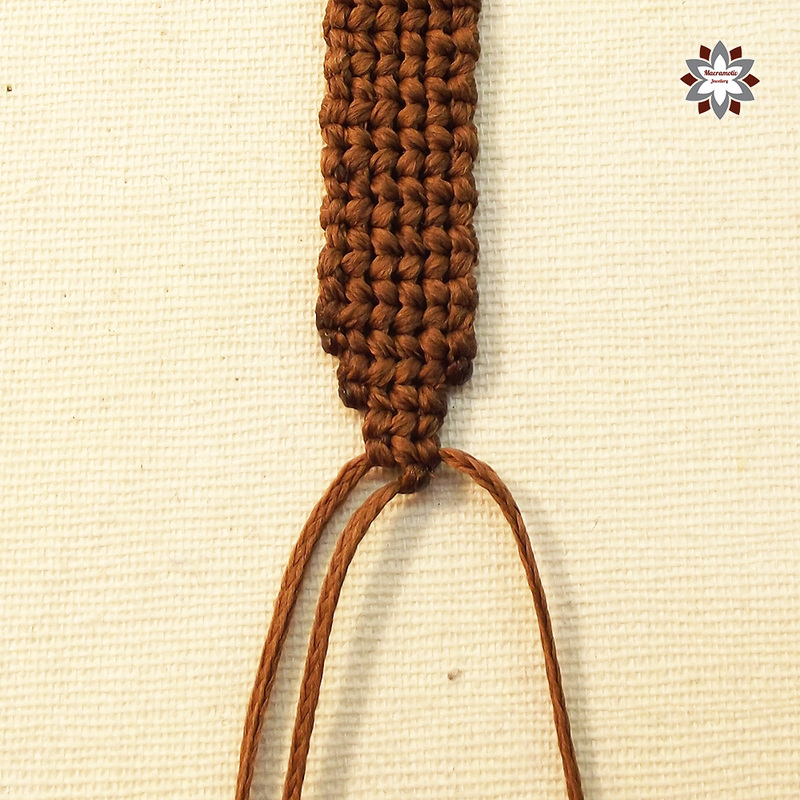 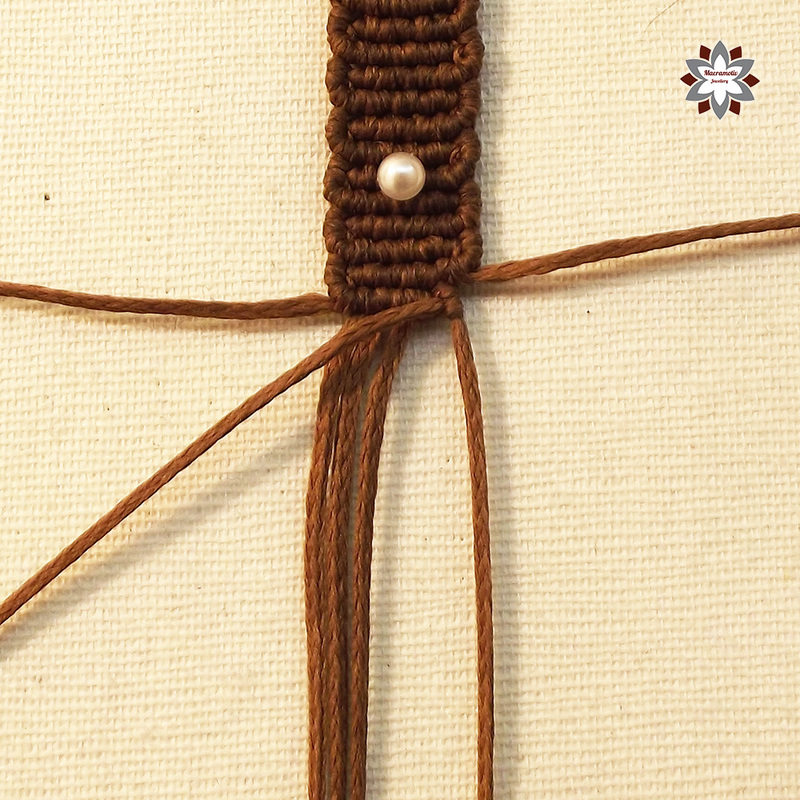 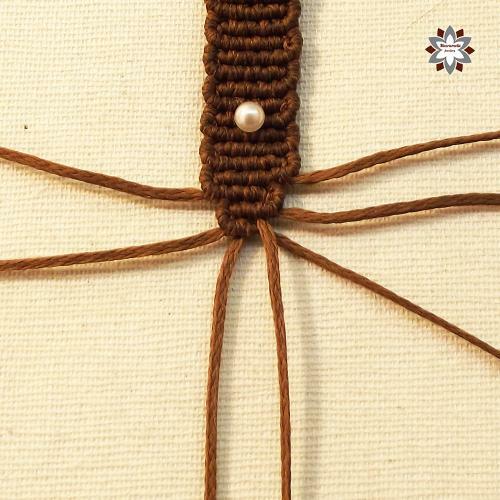 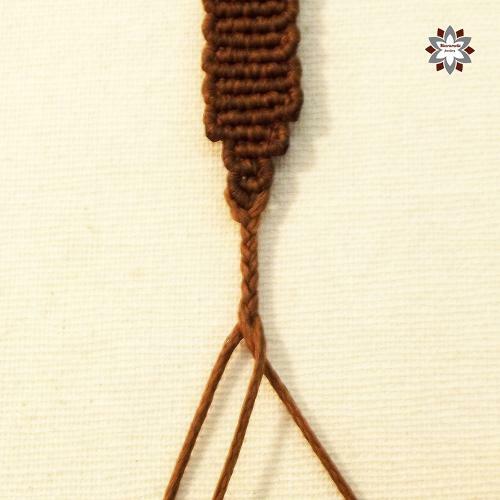 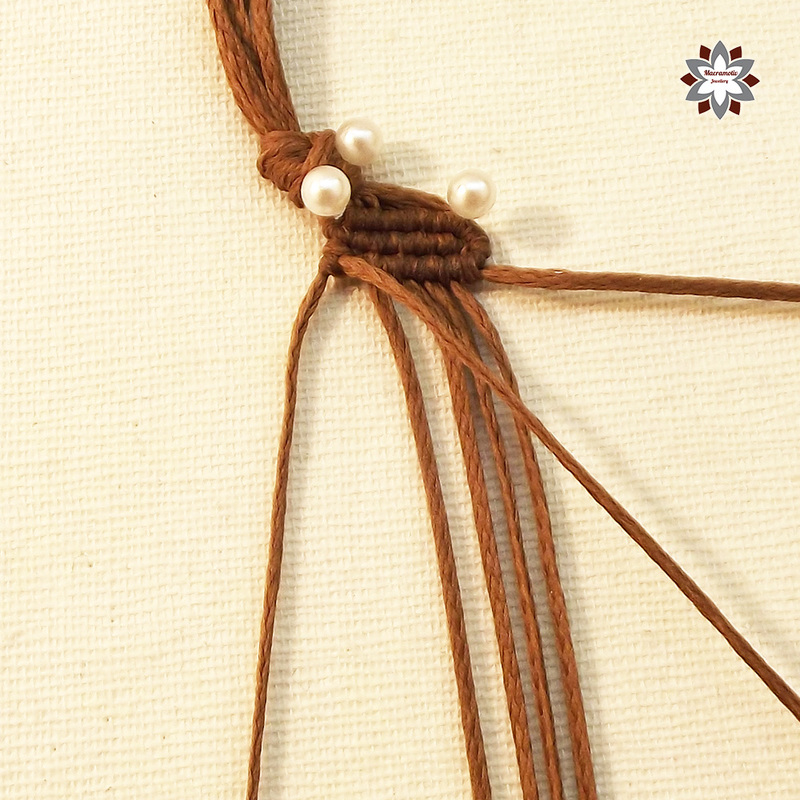 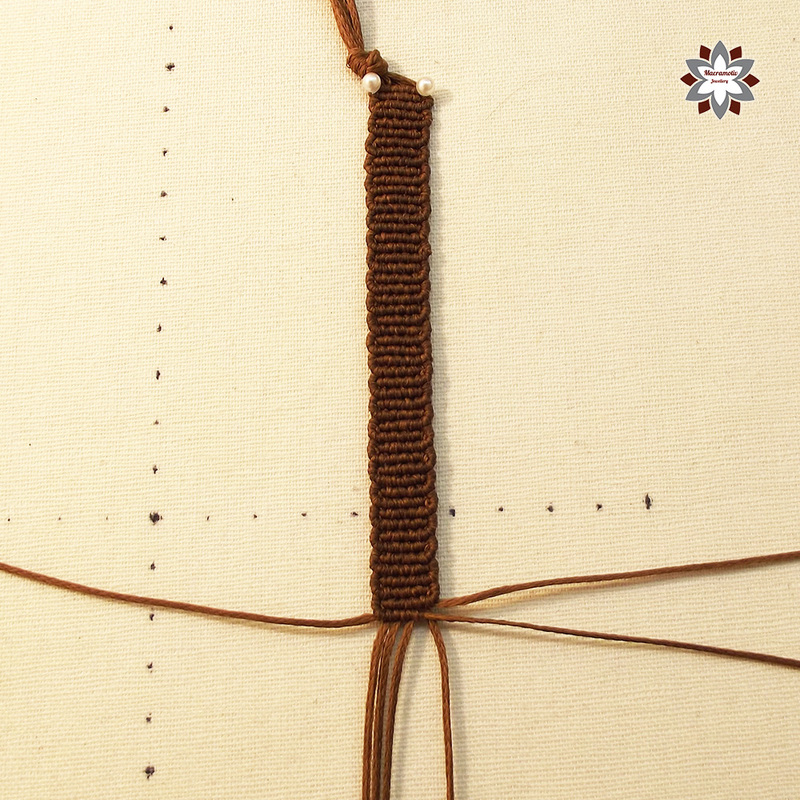 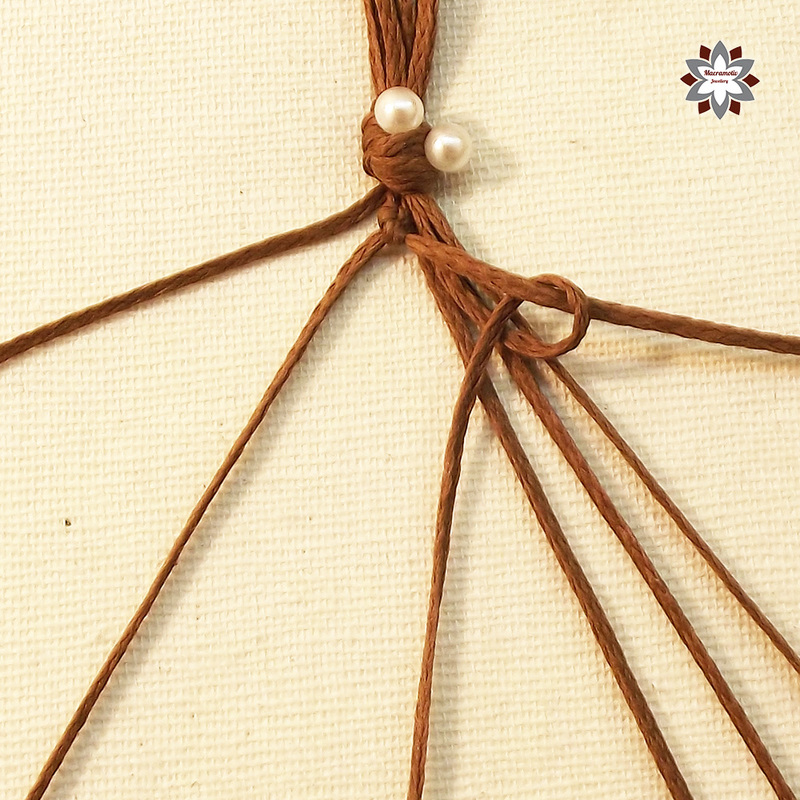 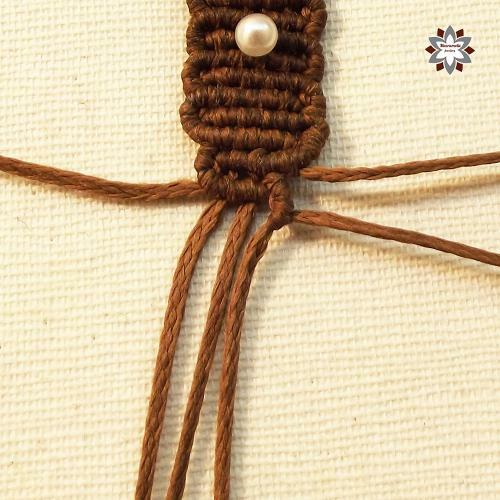 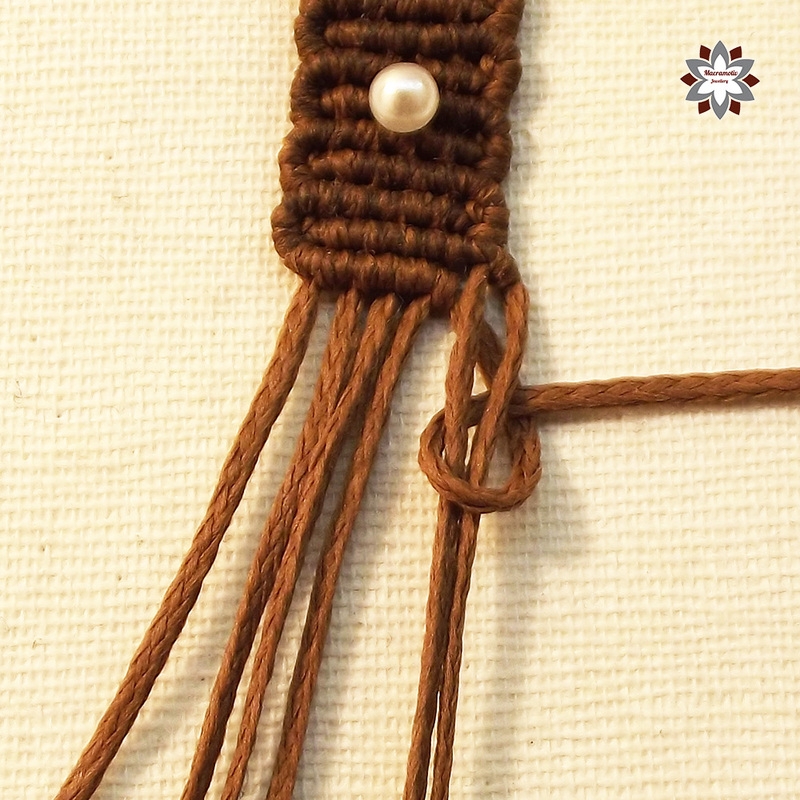 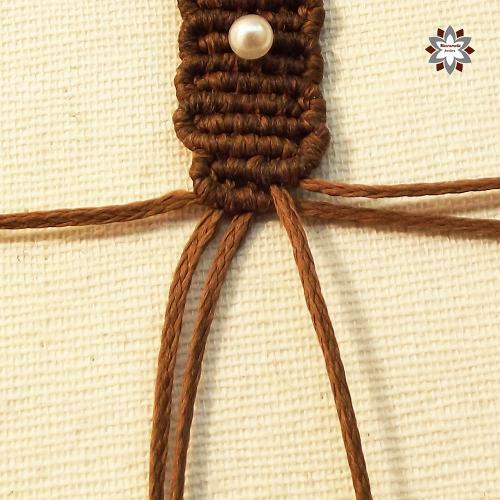 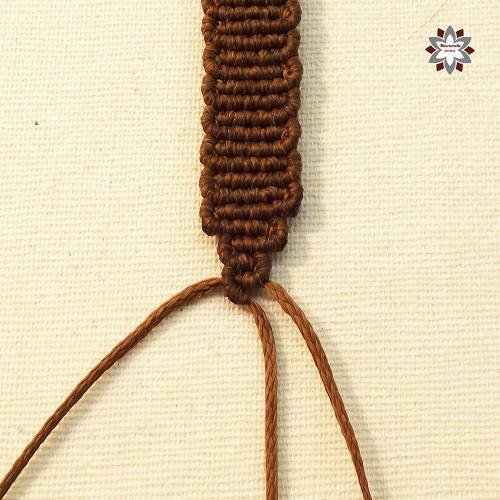 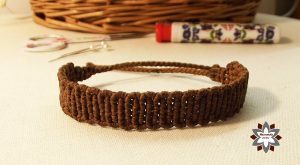 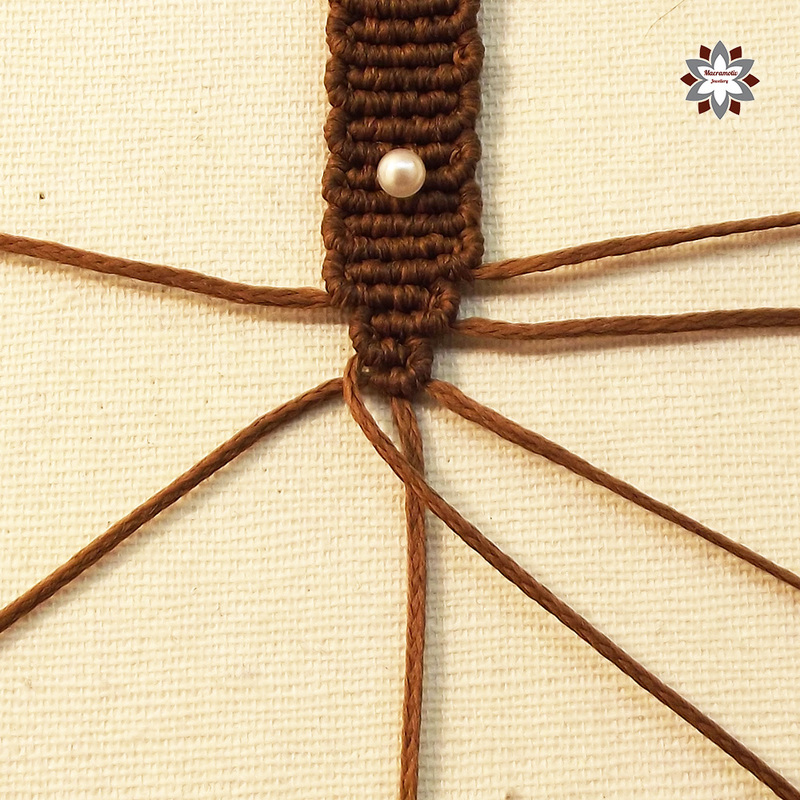 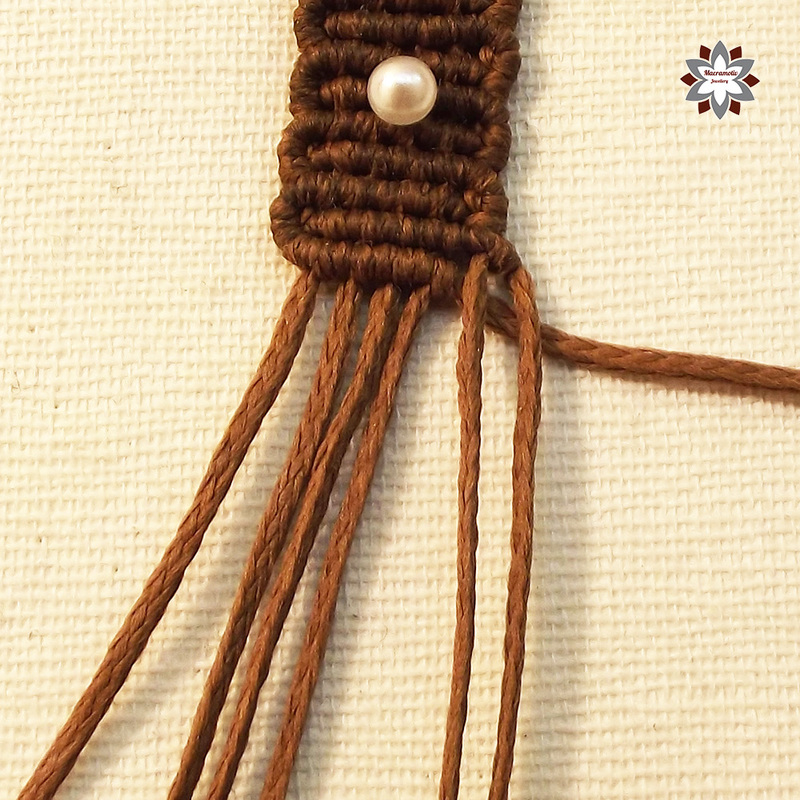 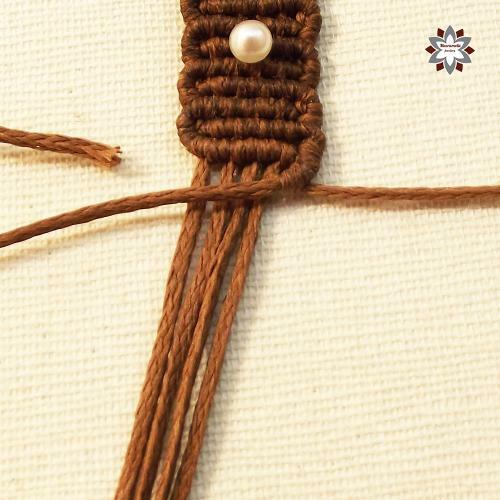 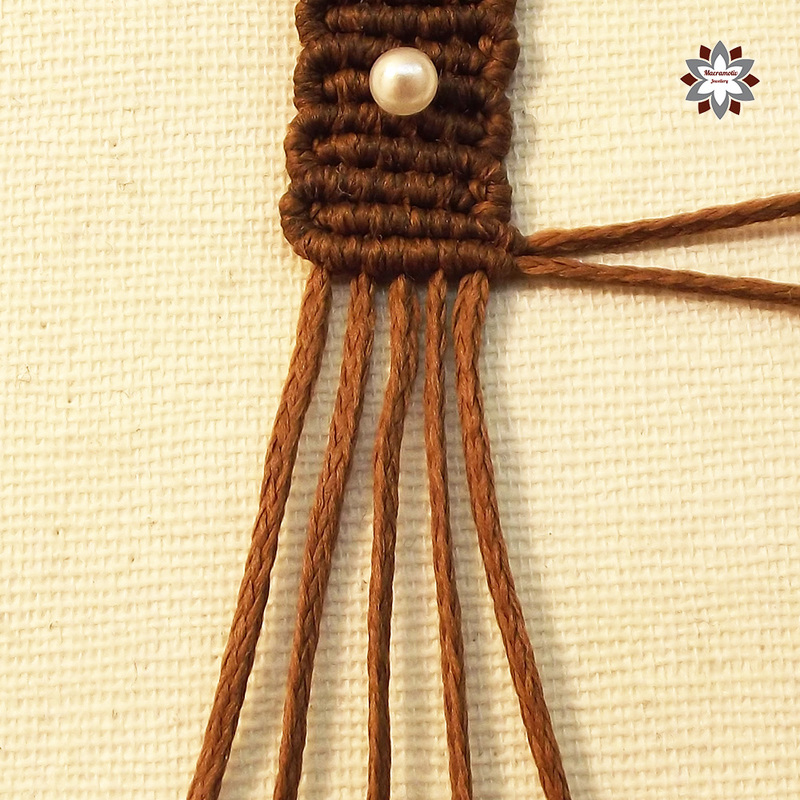 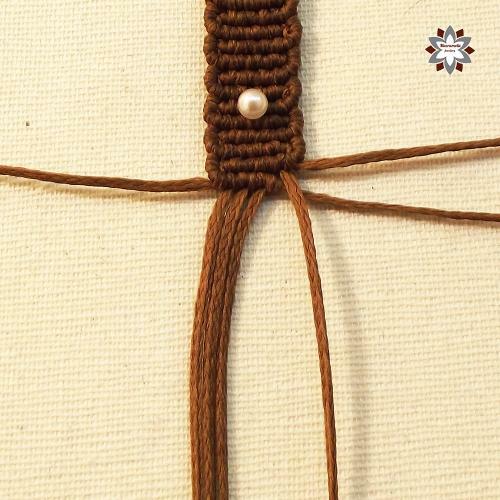 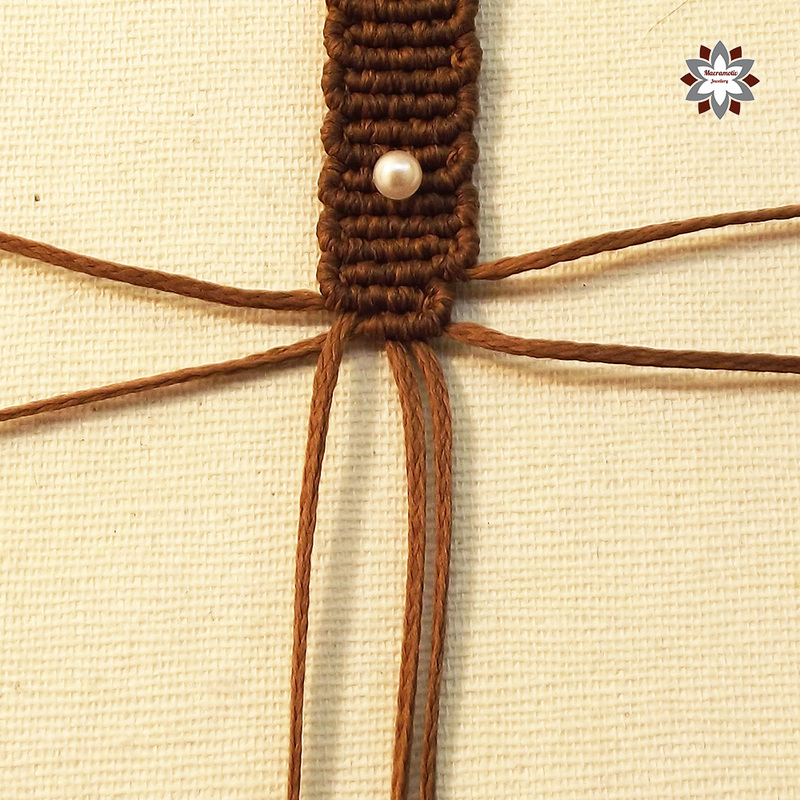 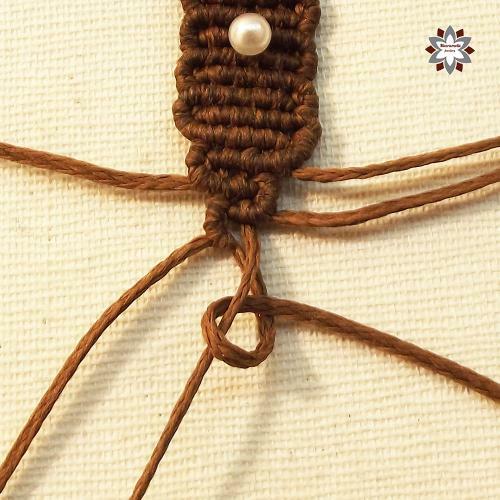 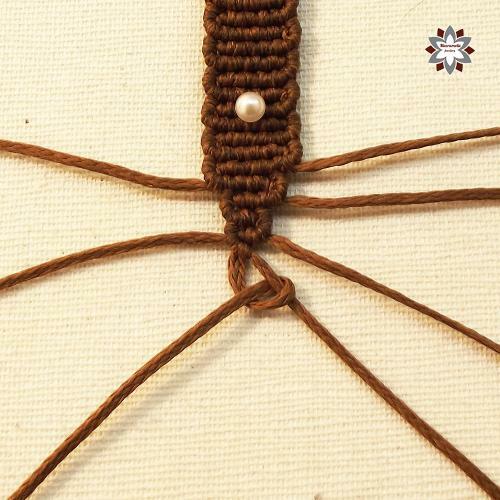 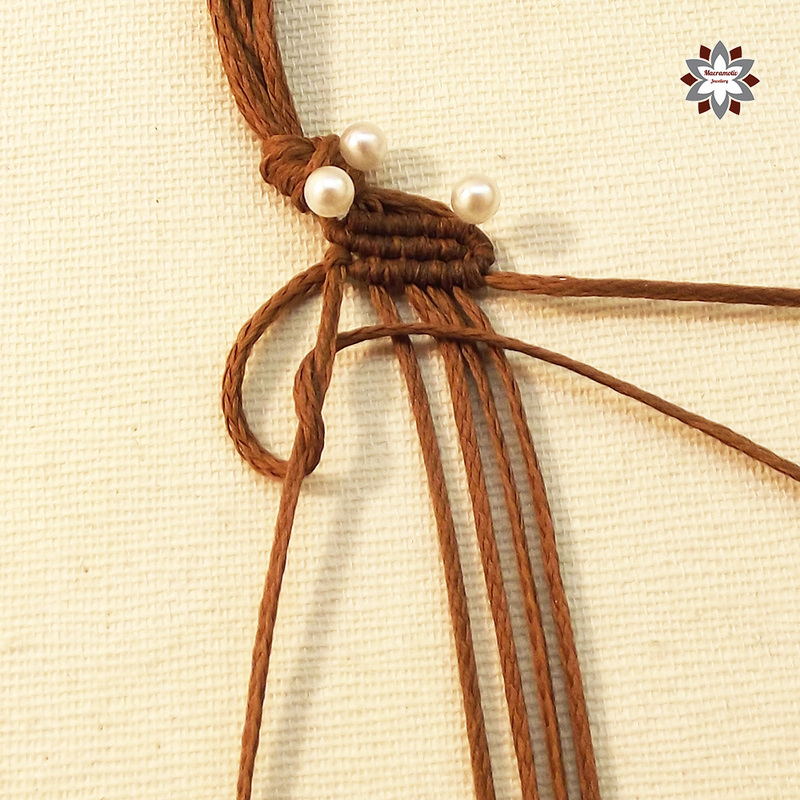 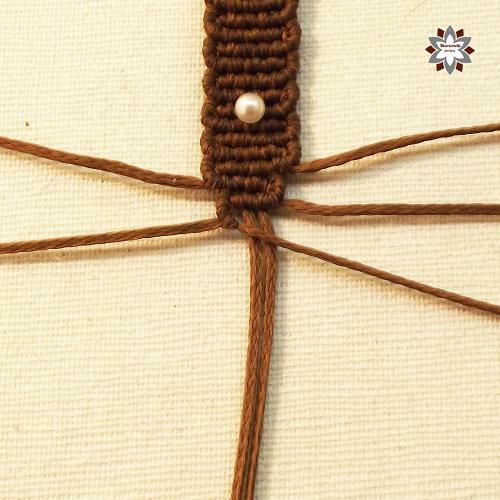 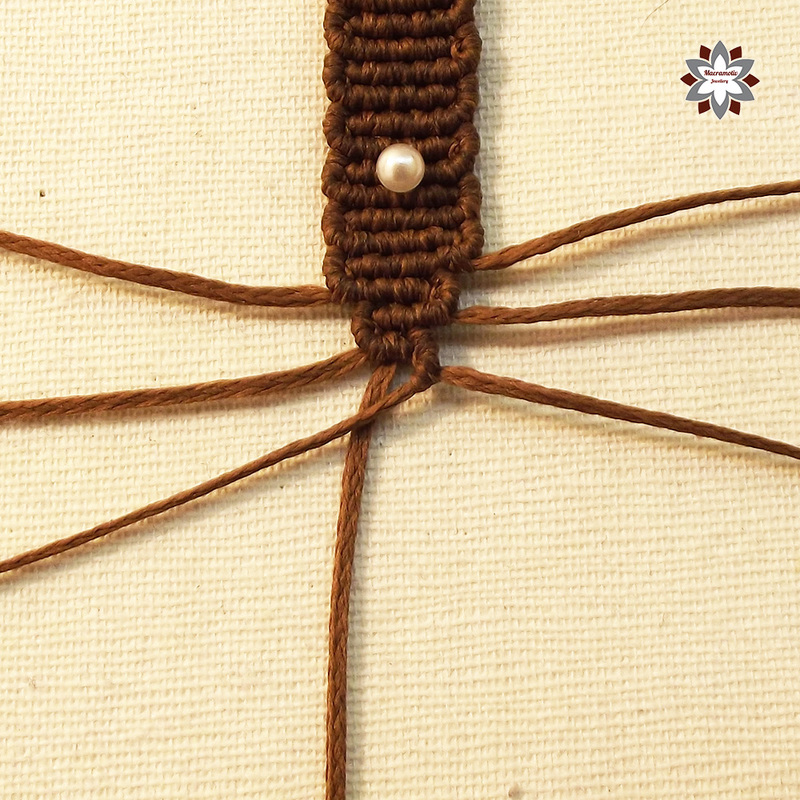 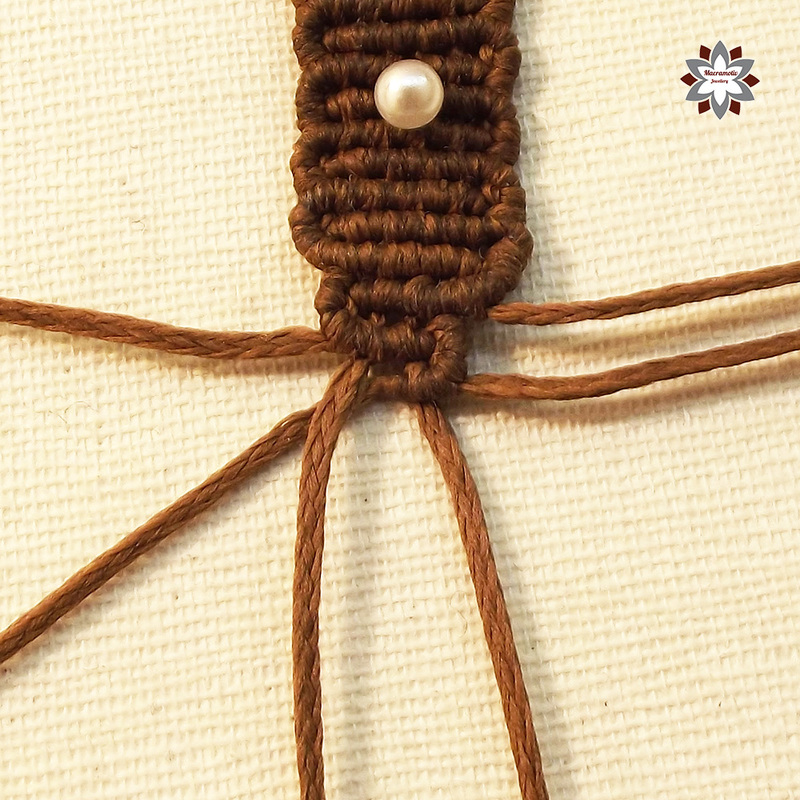 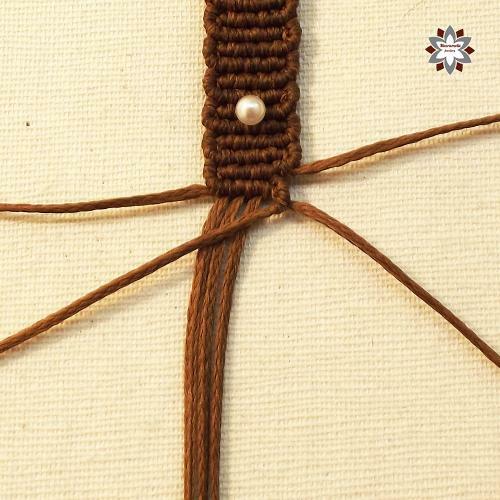 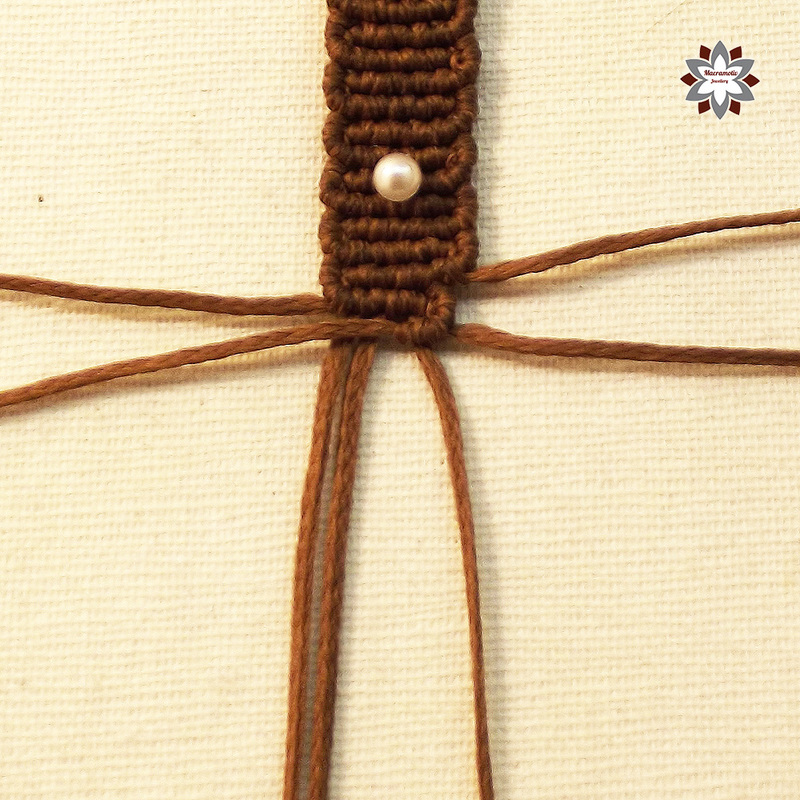 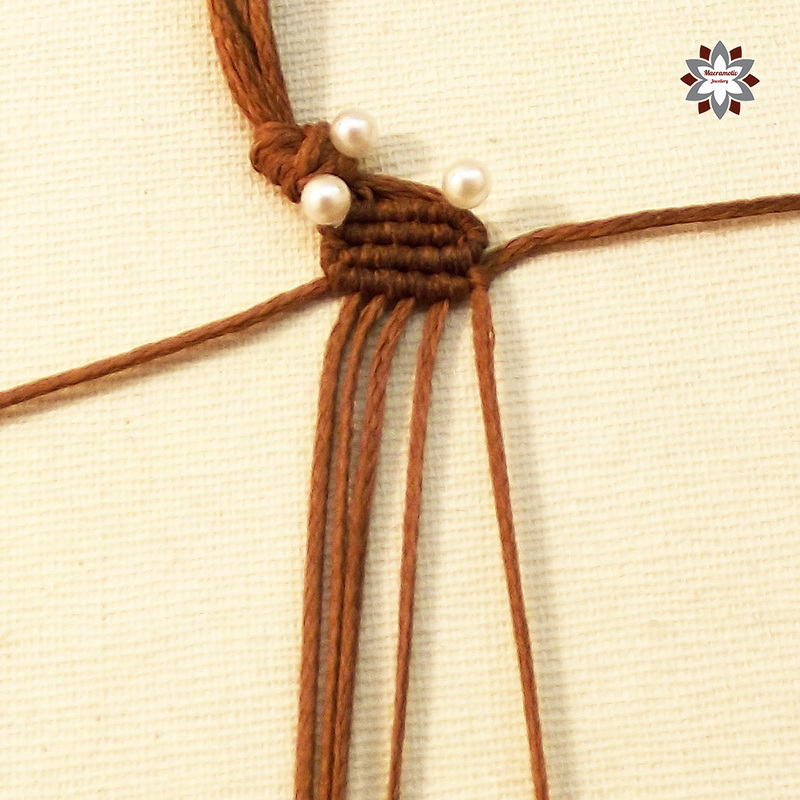 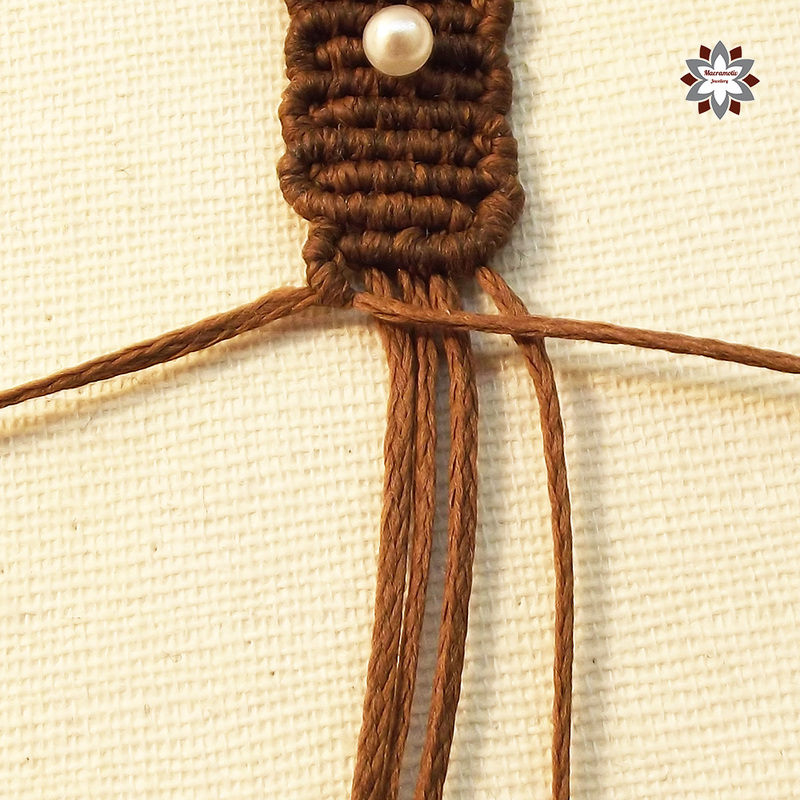 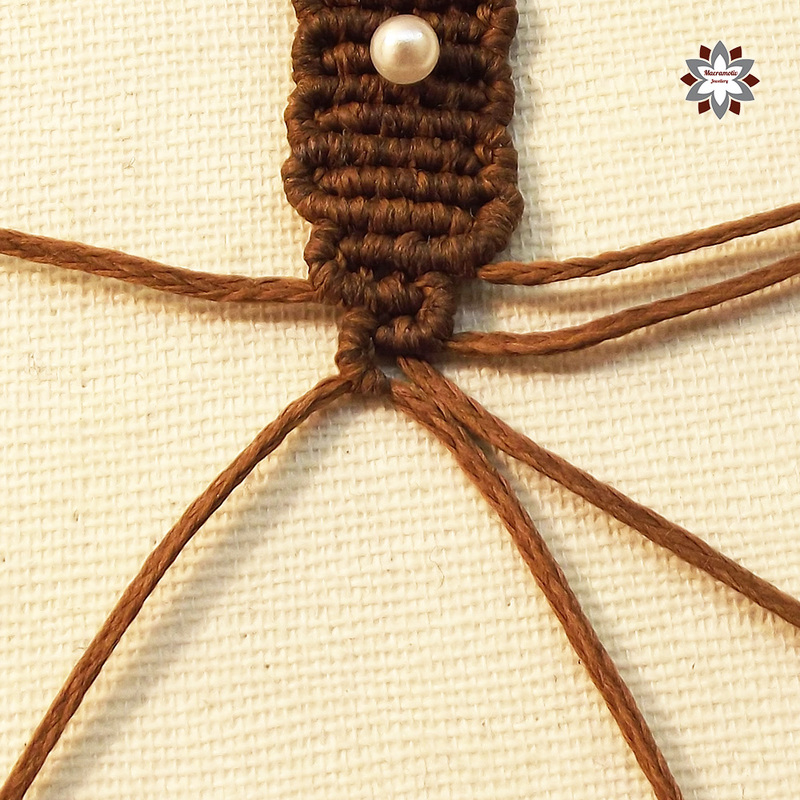 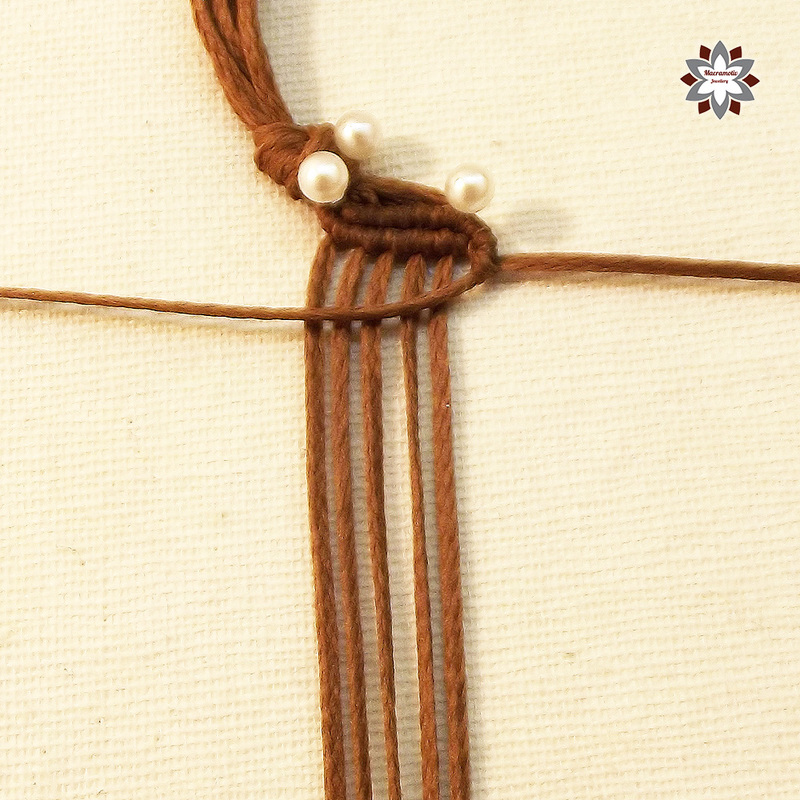 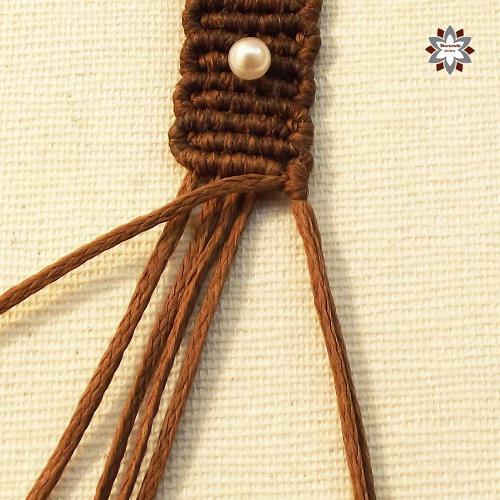 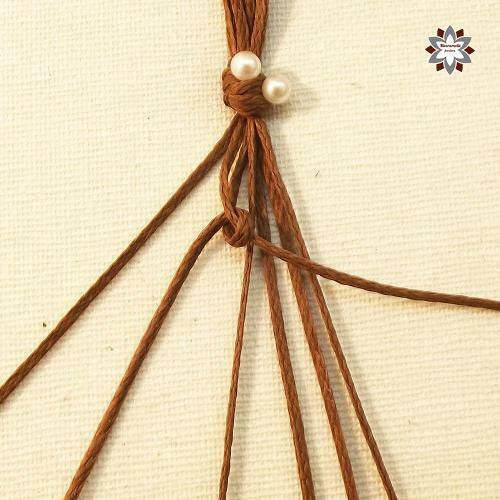 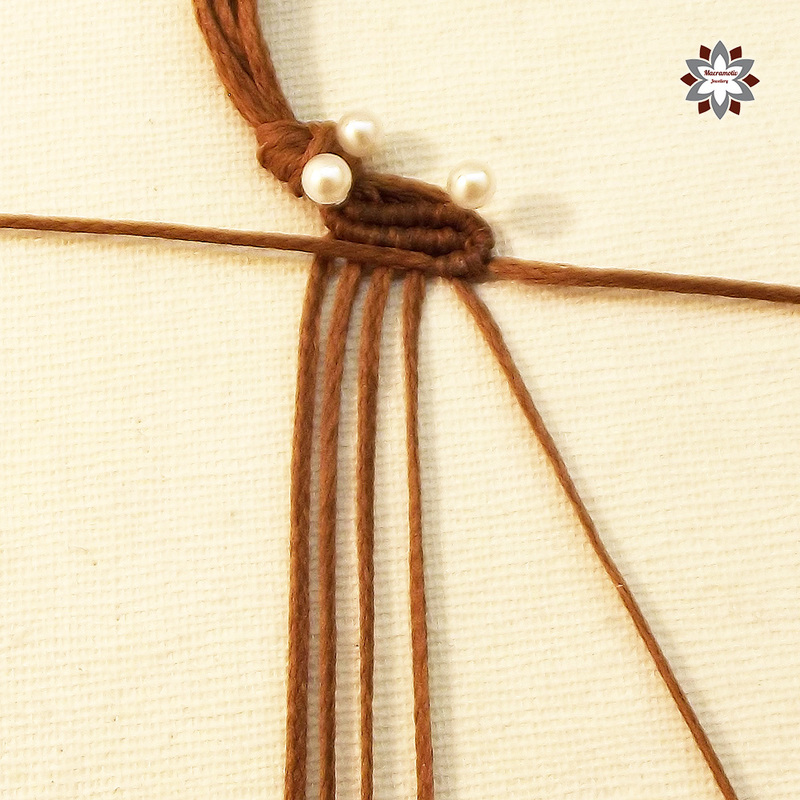 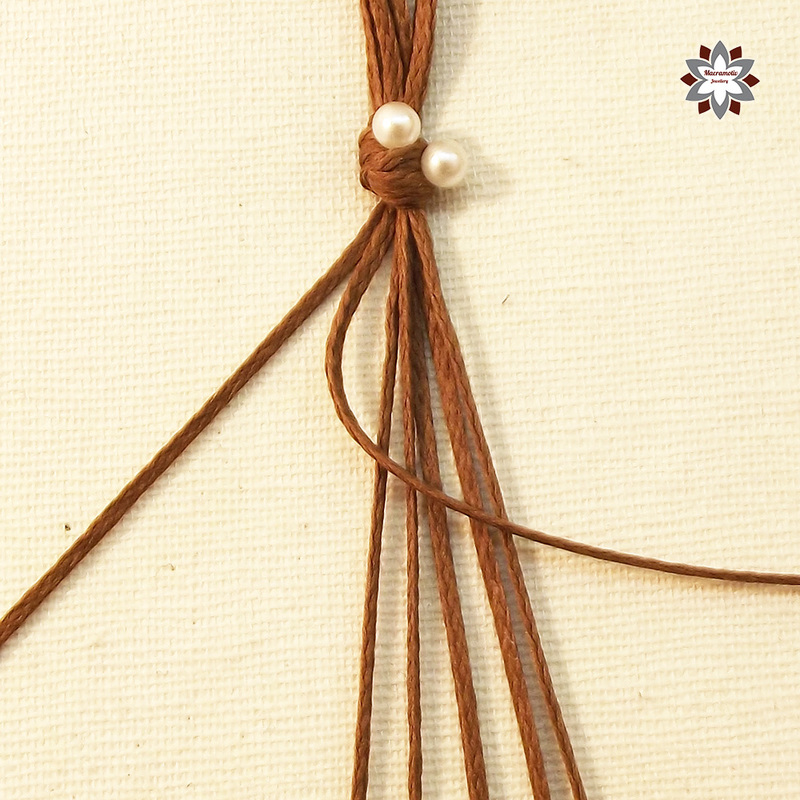 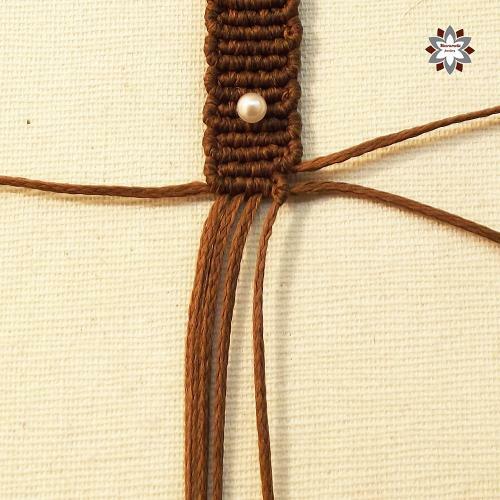 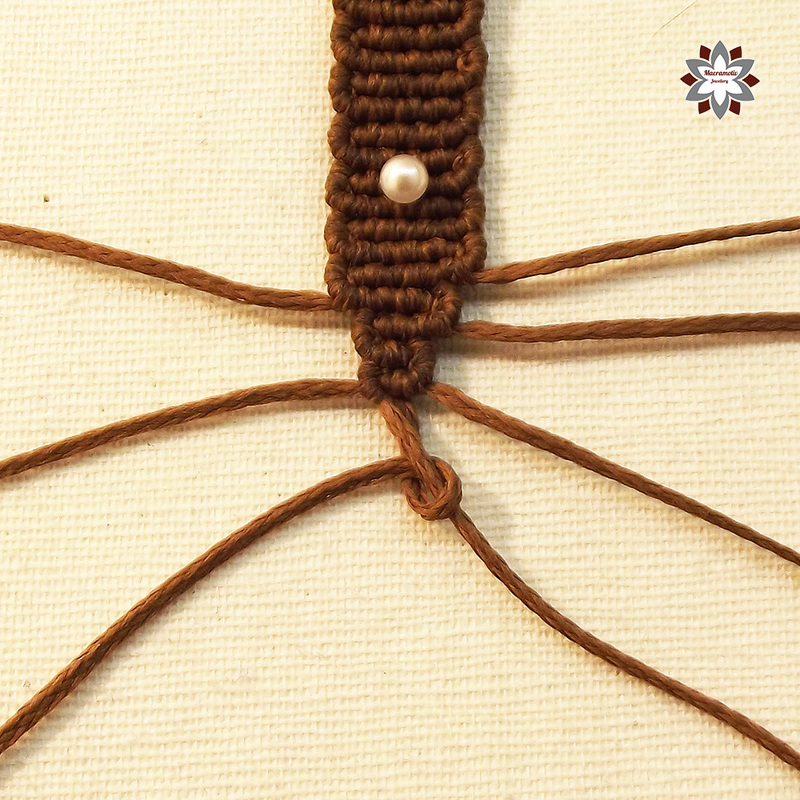 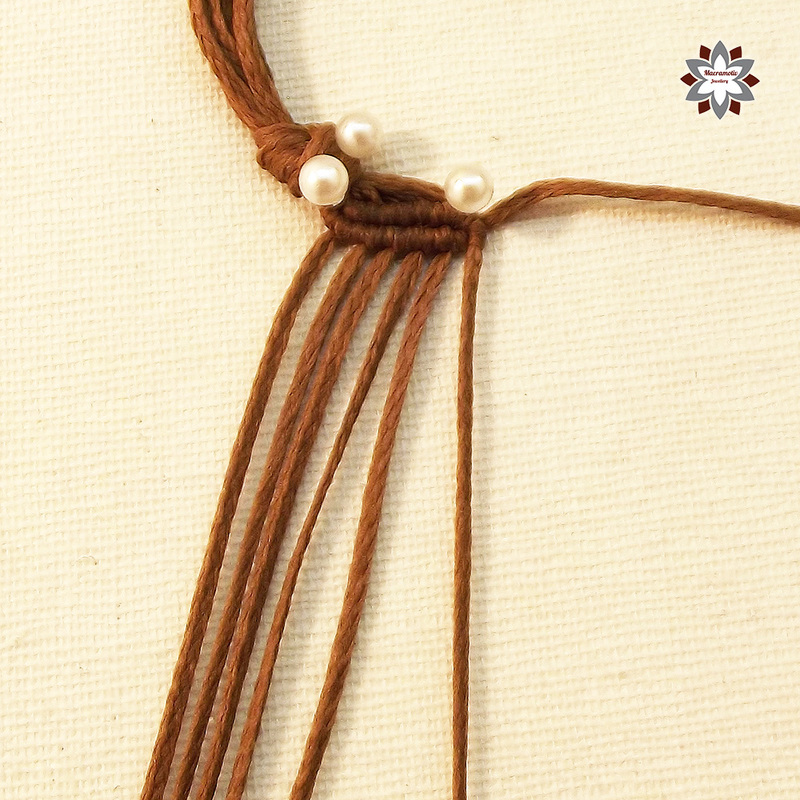 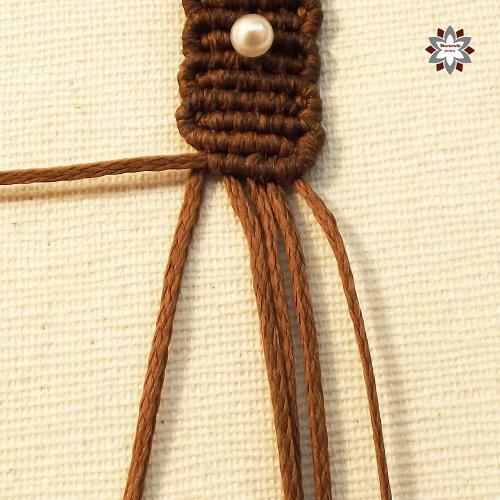 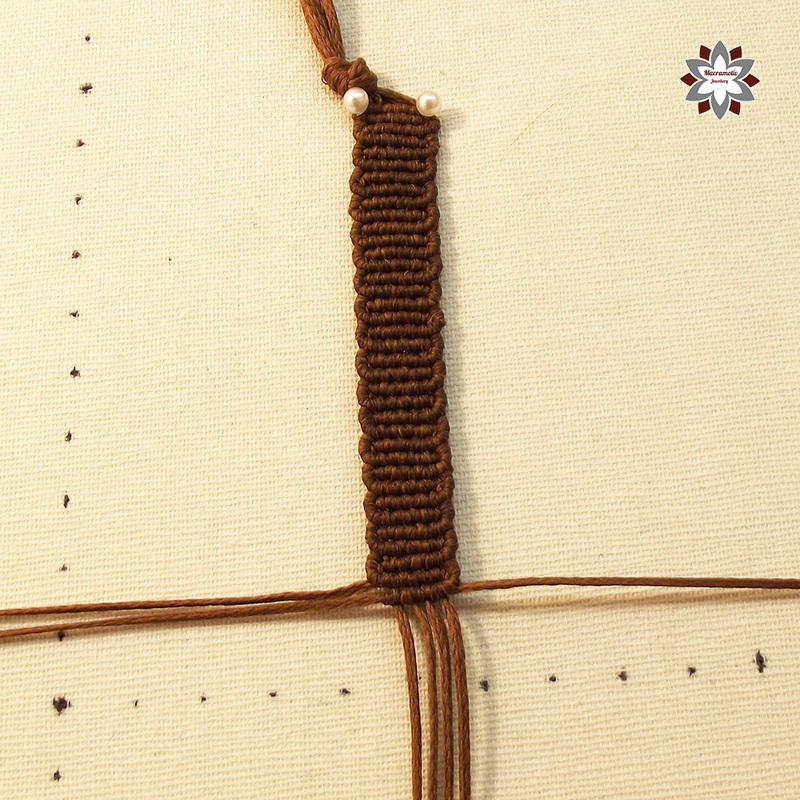 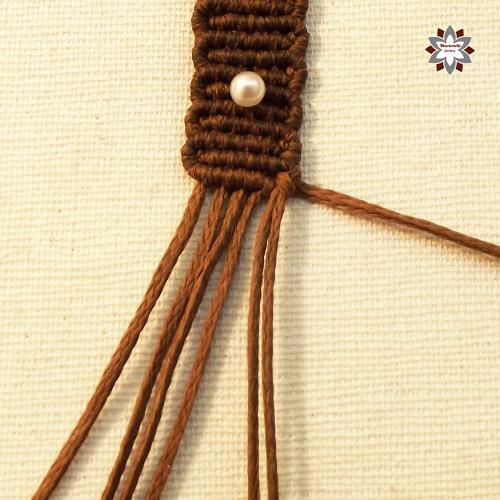 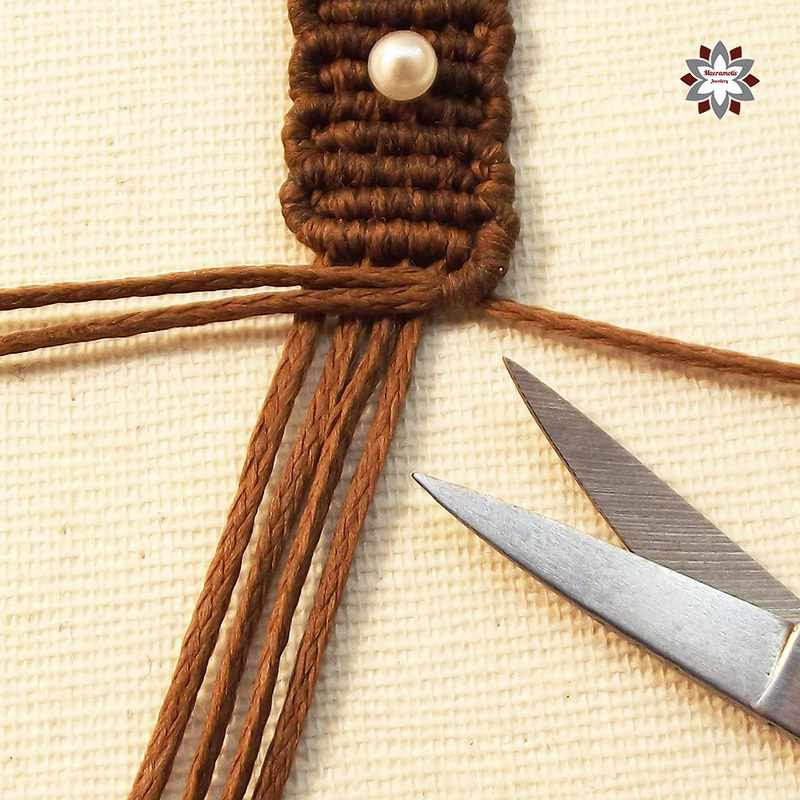 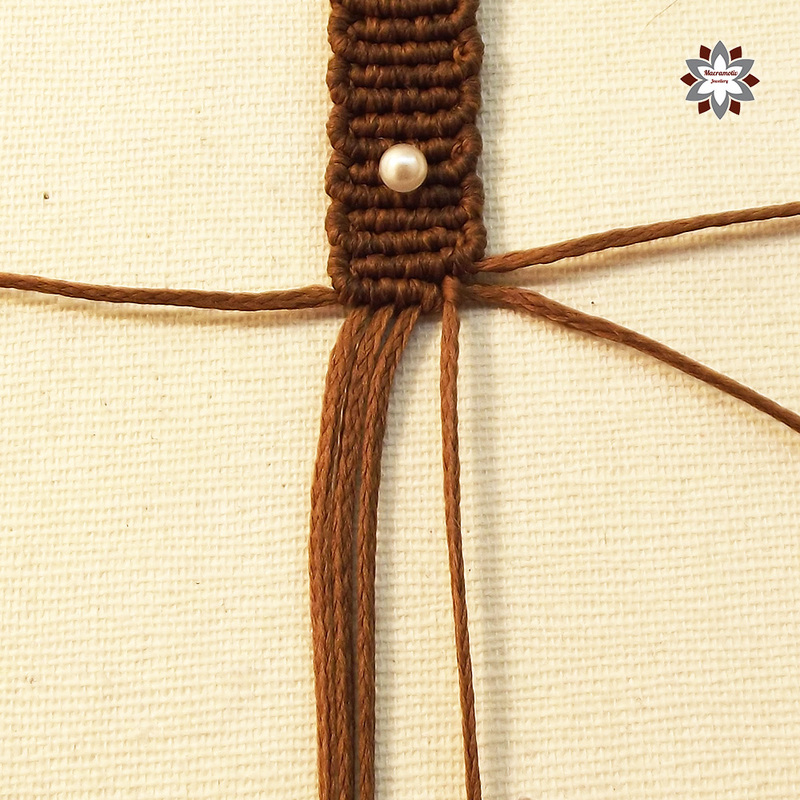 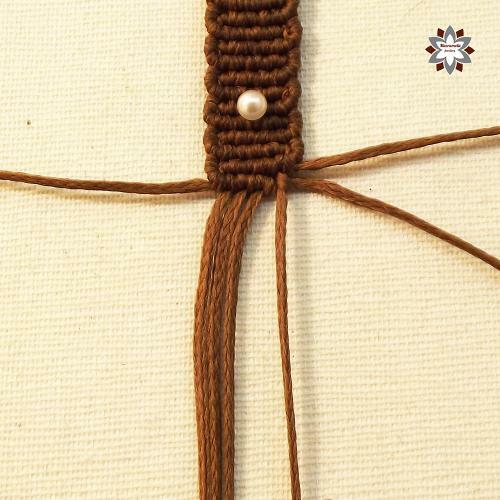 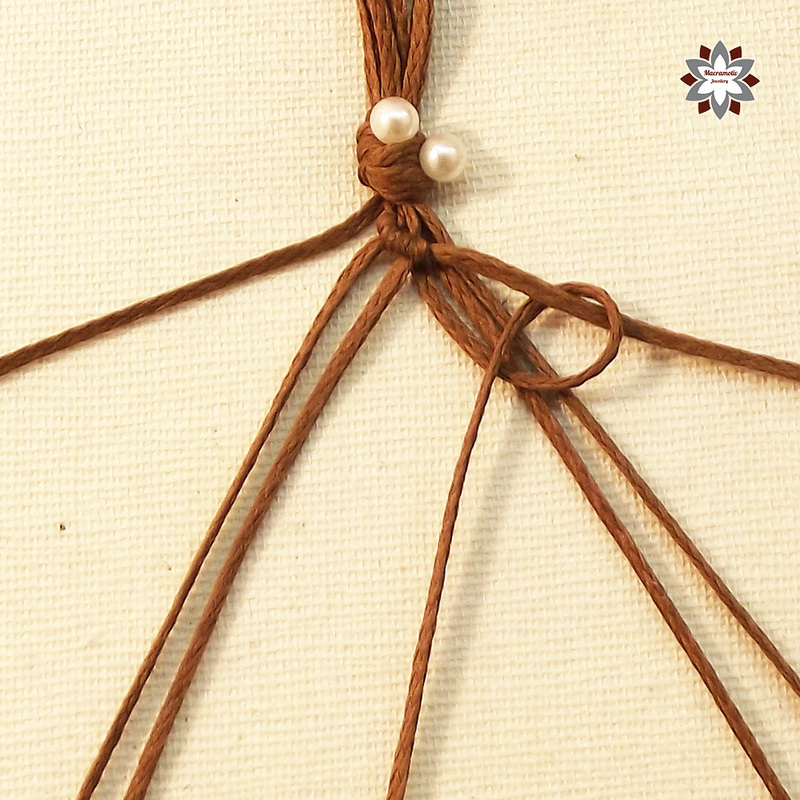 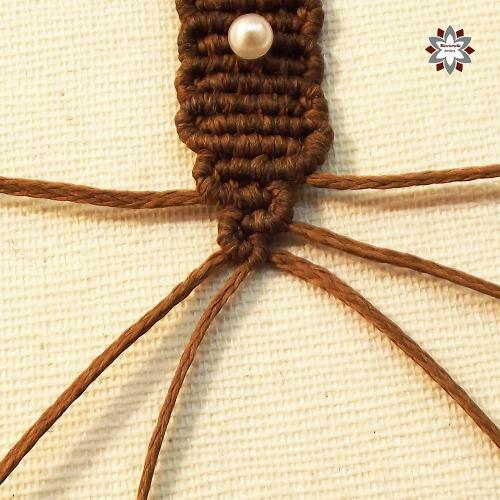 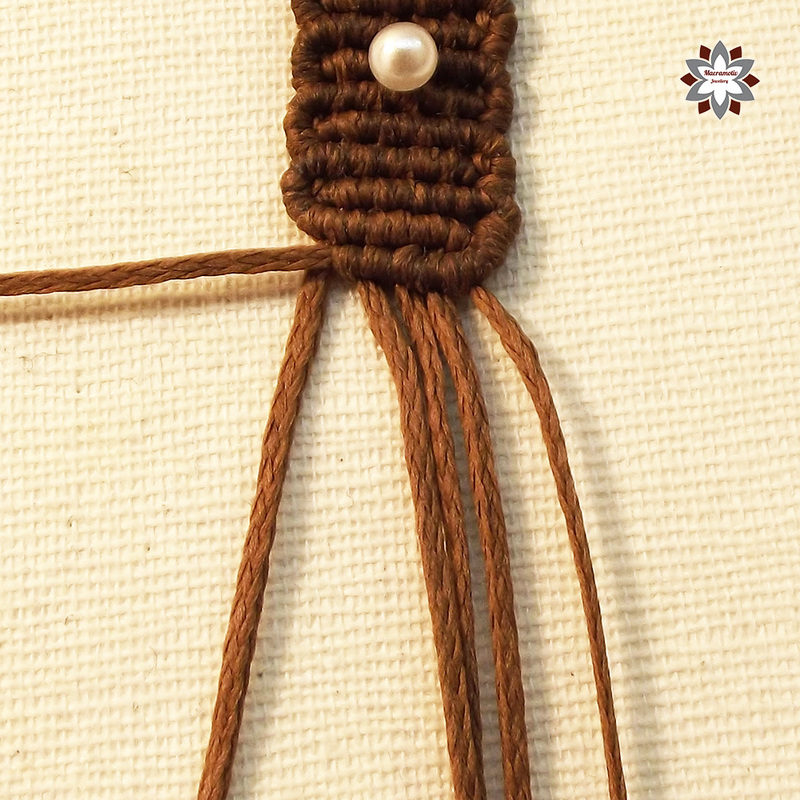 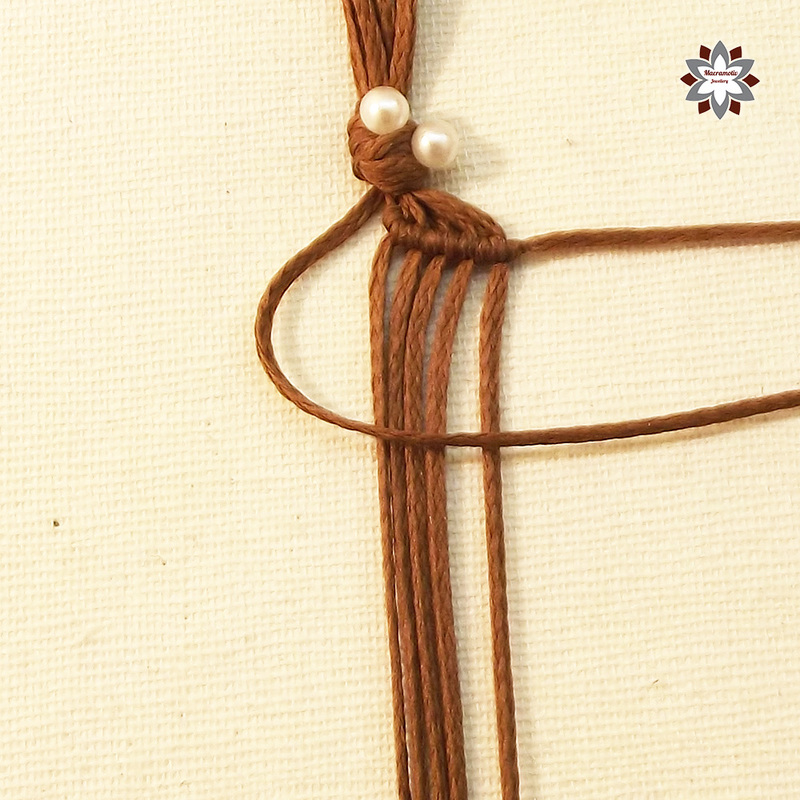 I like this macrame pattern, because it is not complicated and can be made in narrower and thicker version. 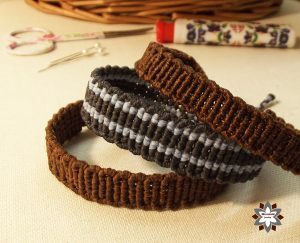 You can play with colors too. 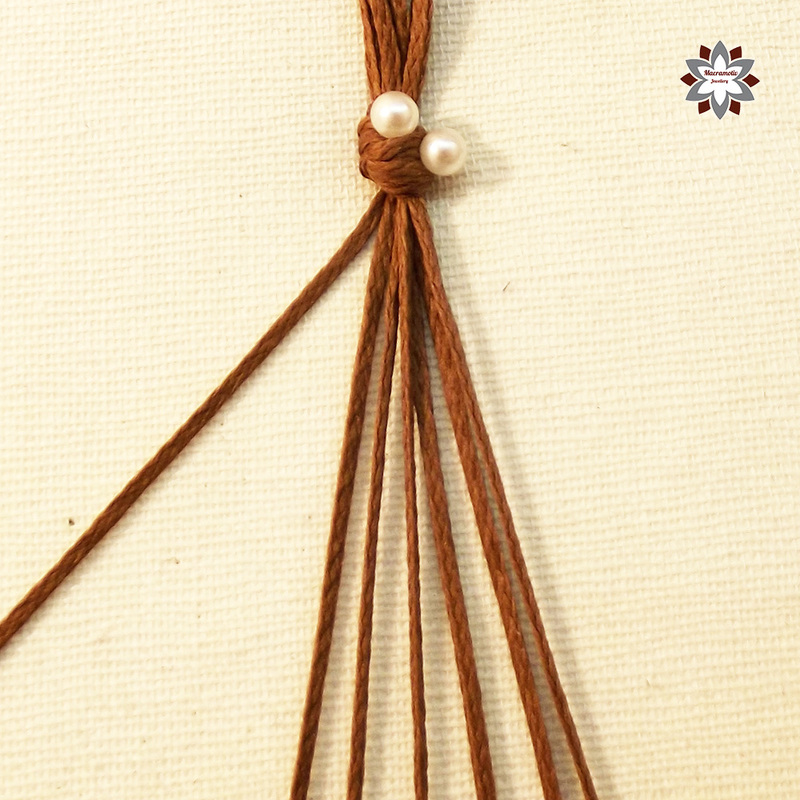 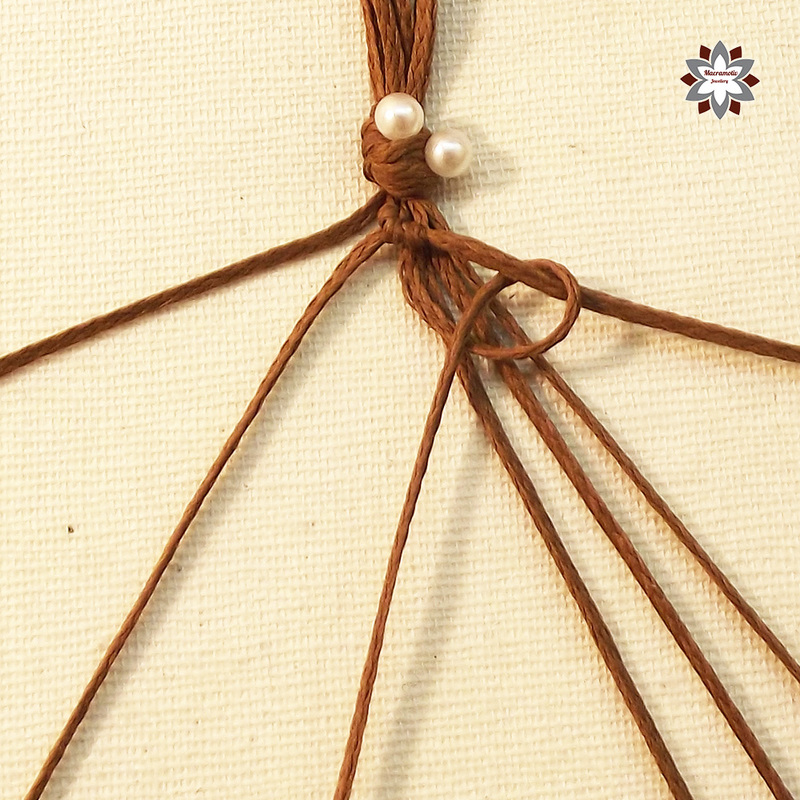 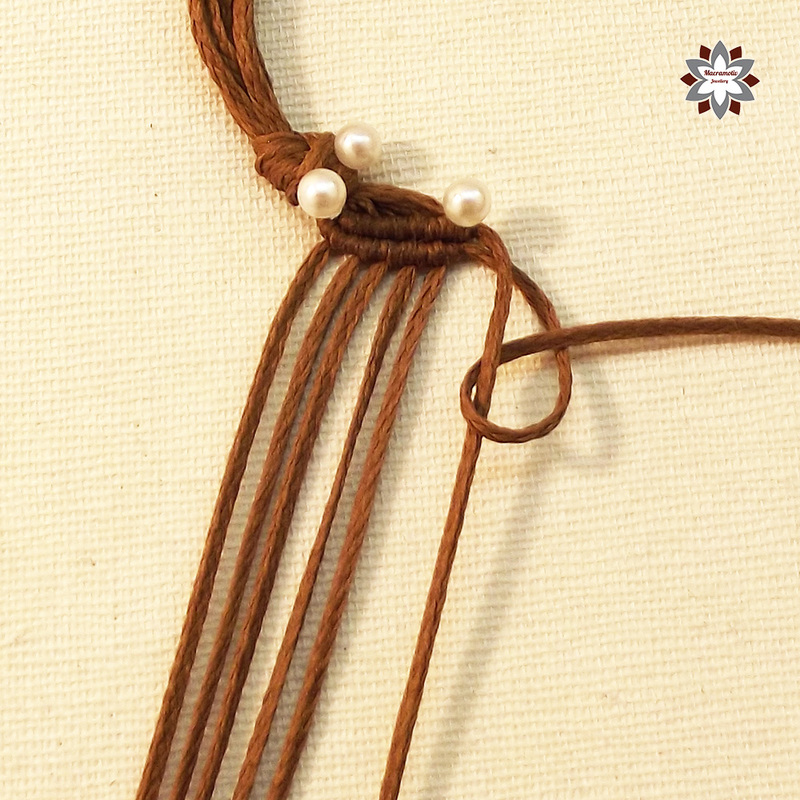 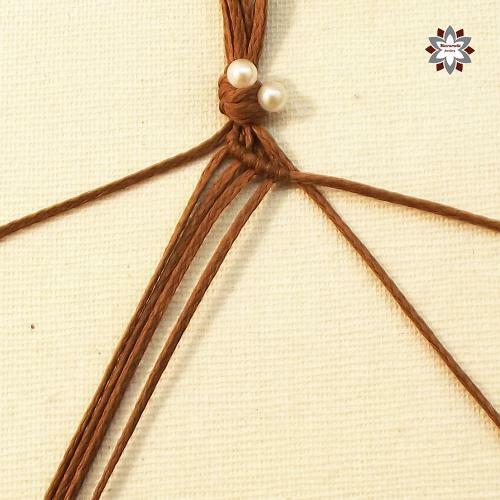 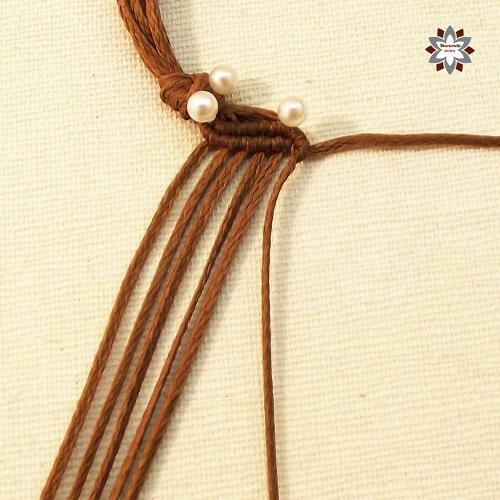 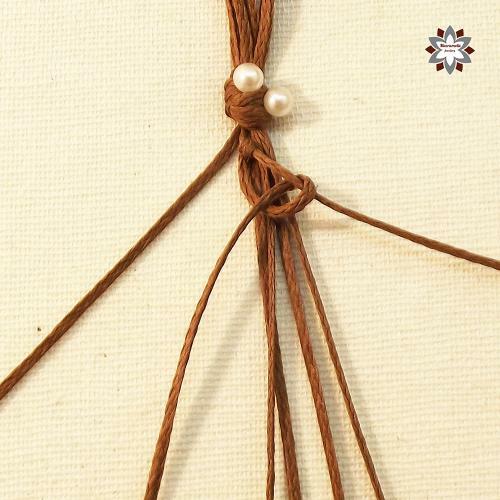 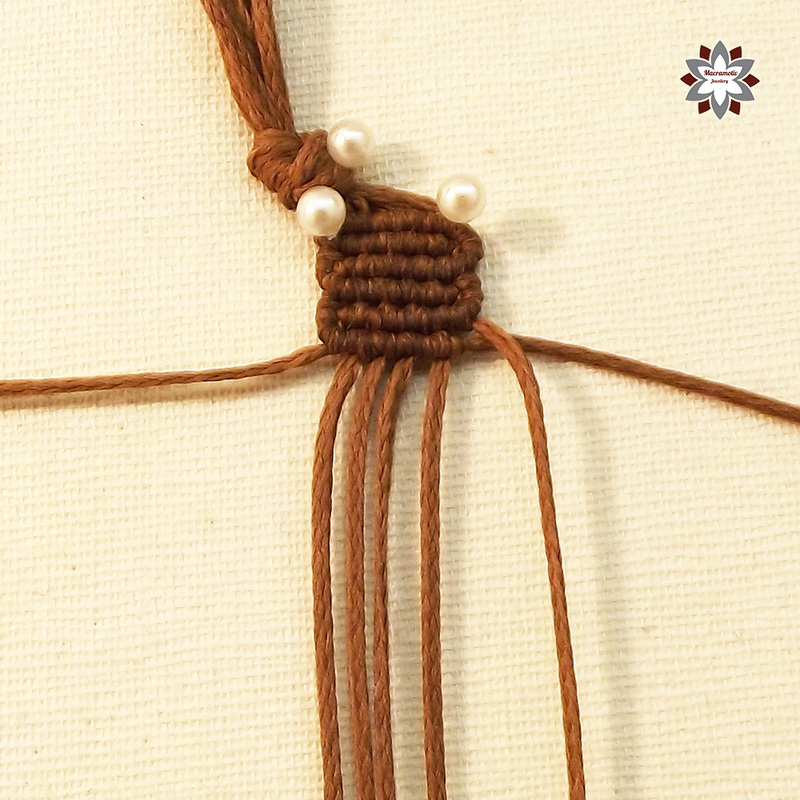 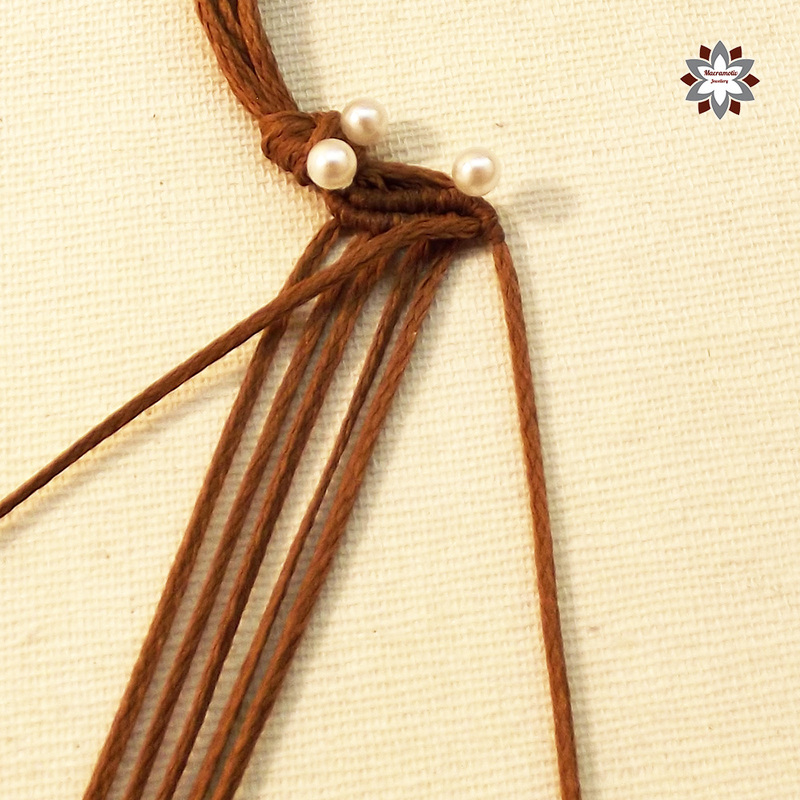 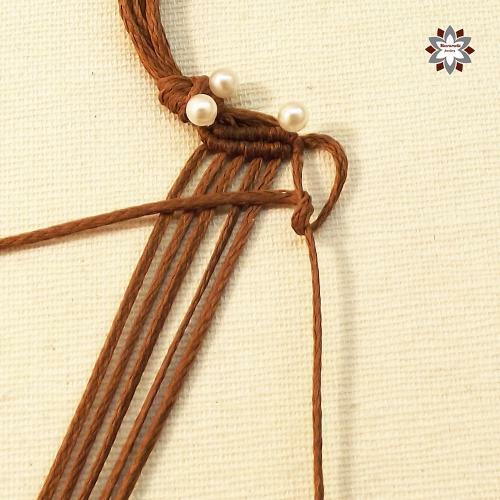 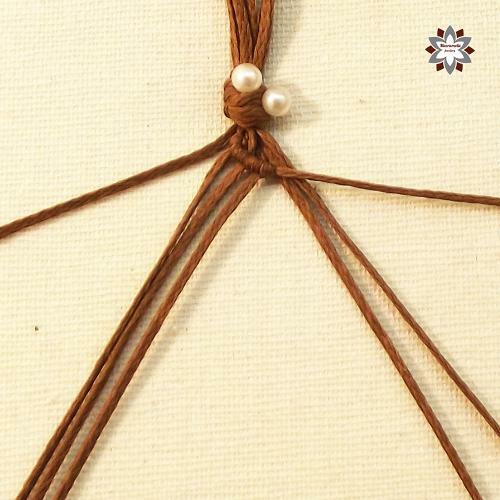 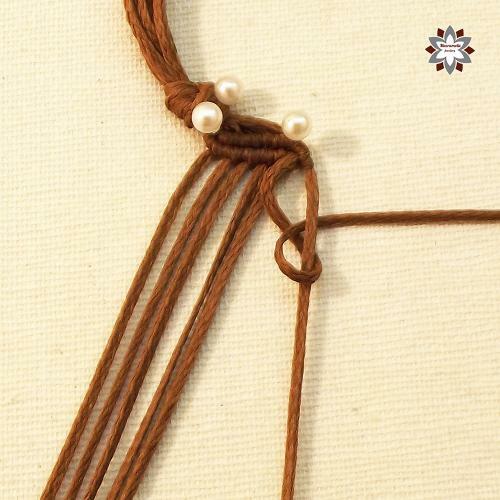 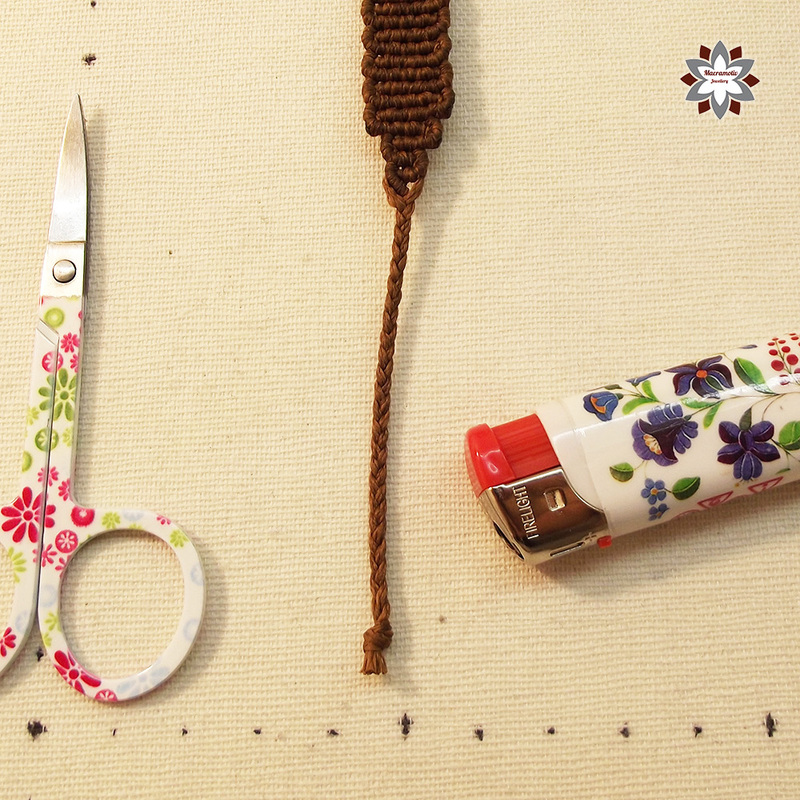 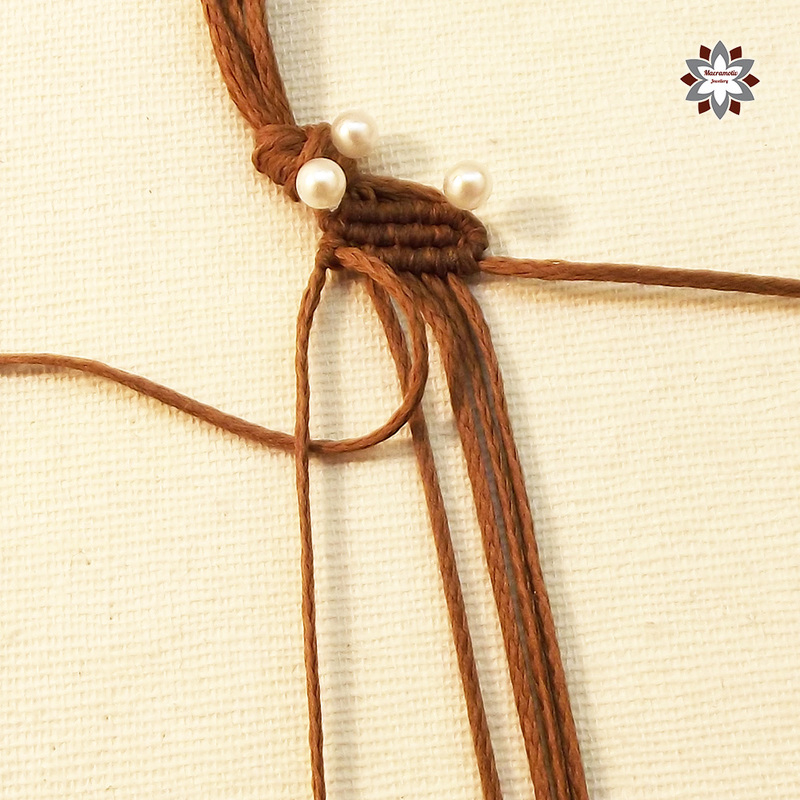 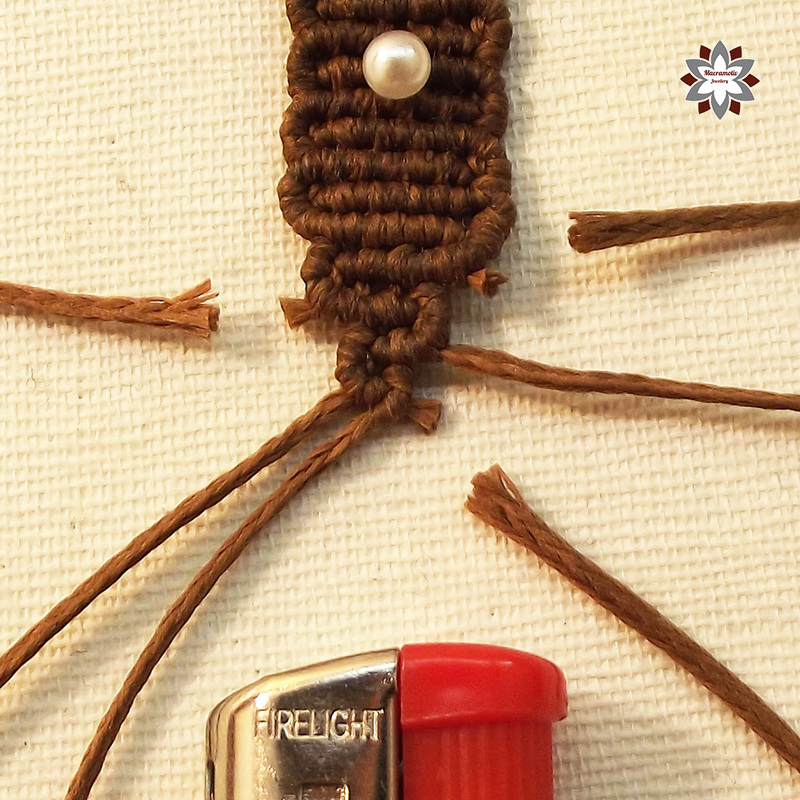 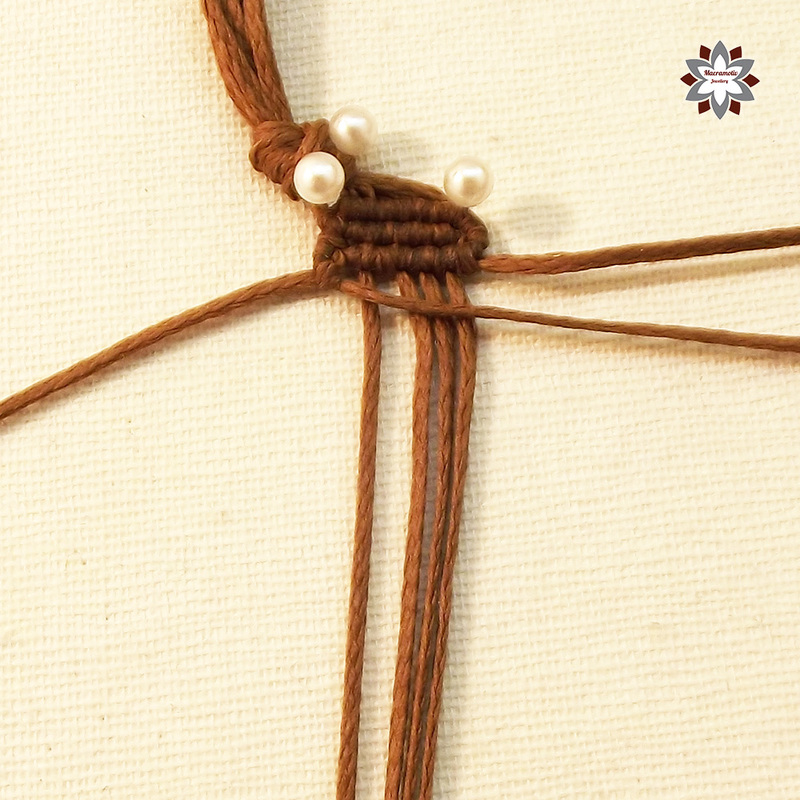 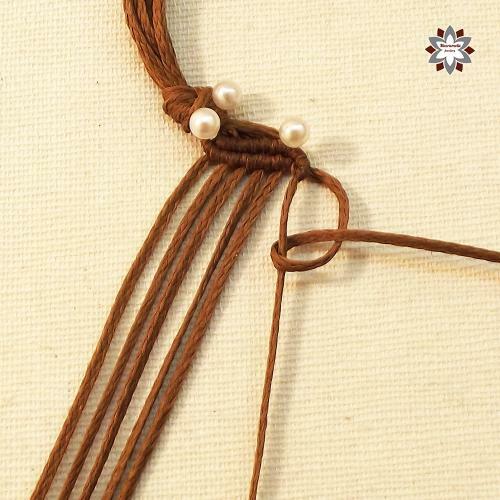 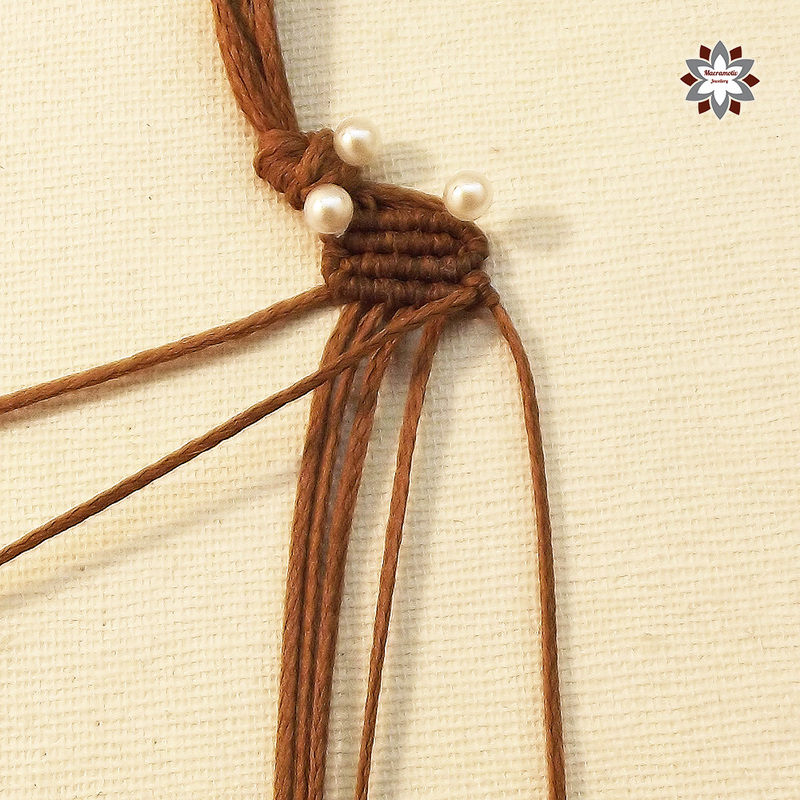 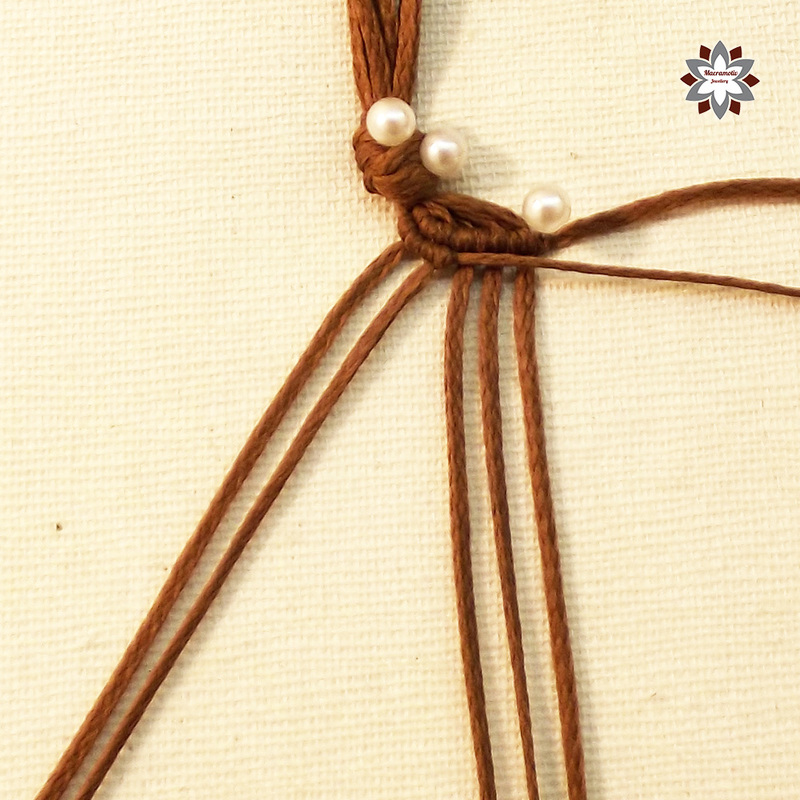 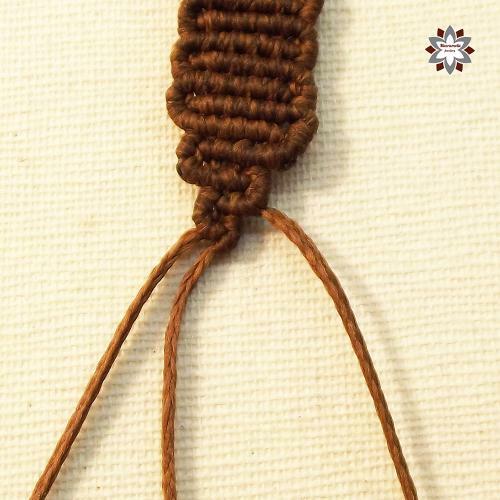 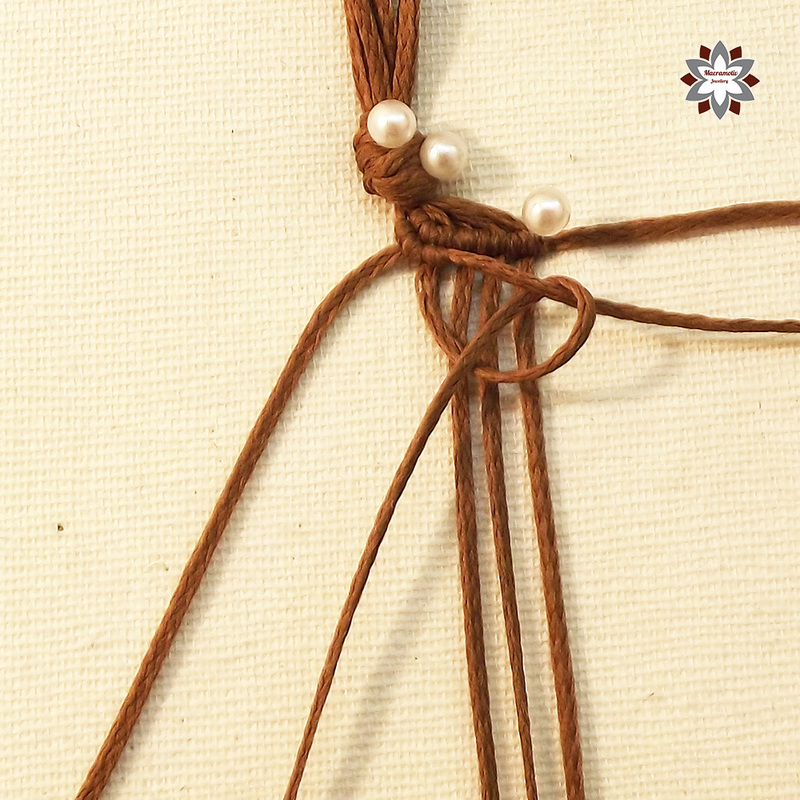 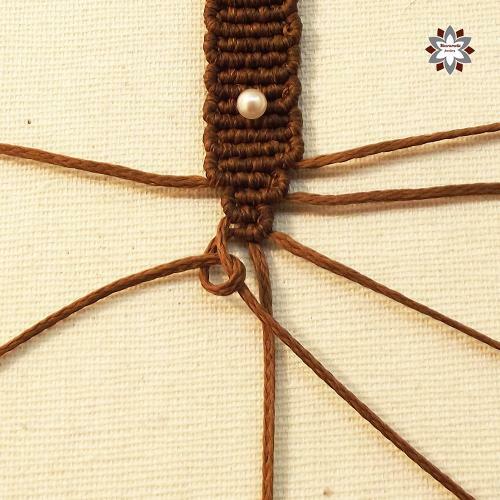 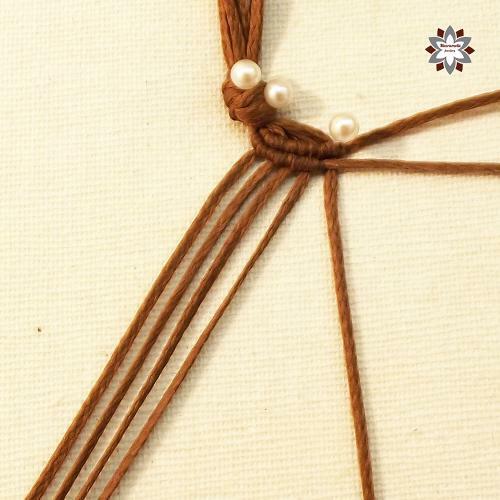 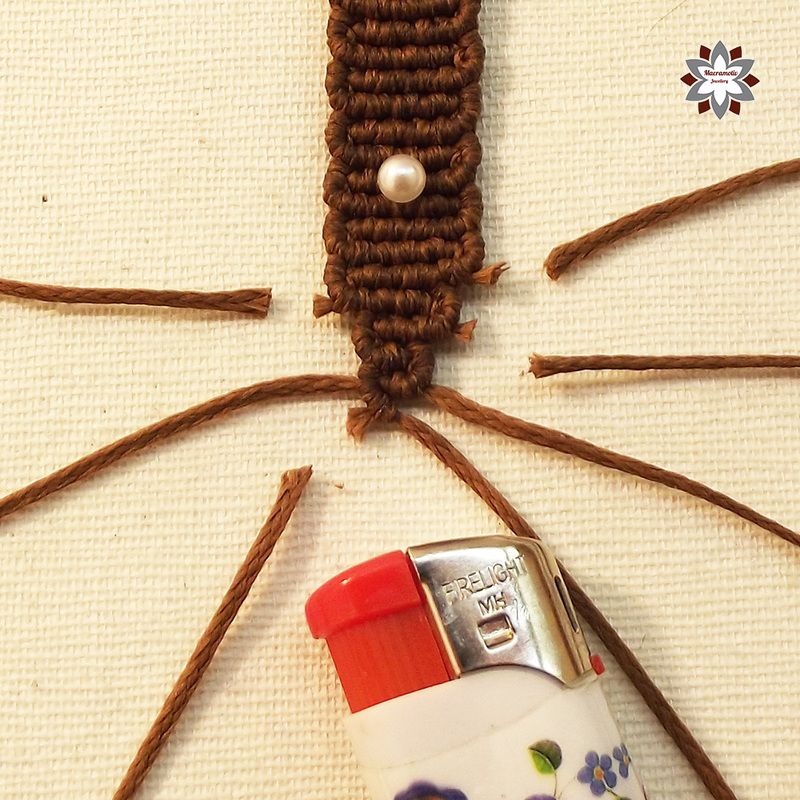 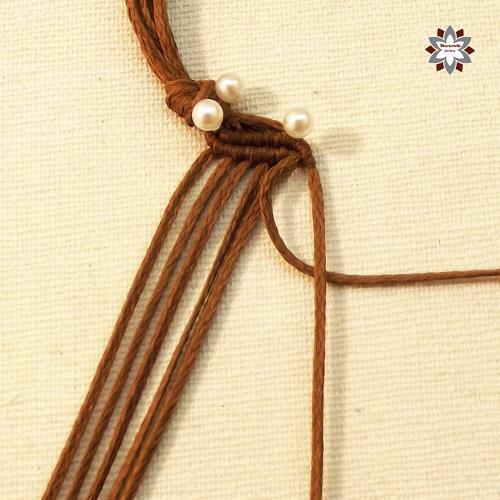 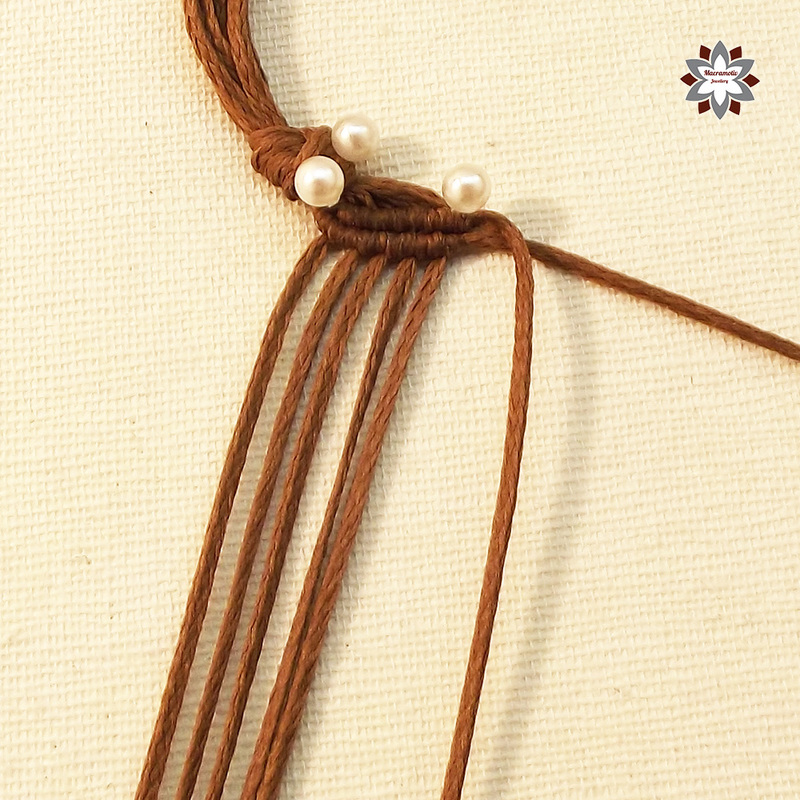 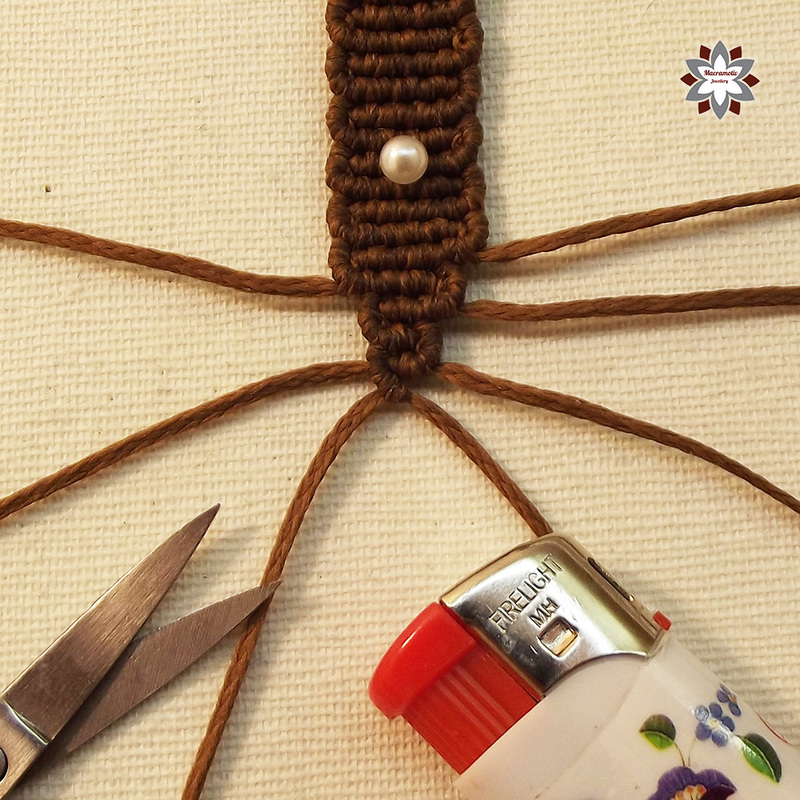 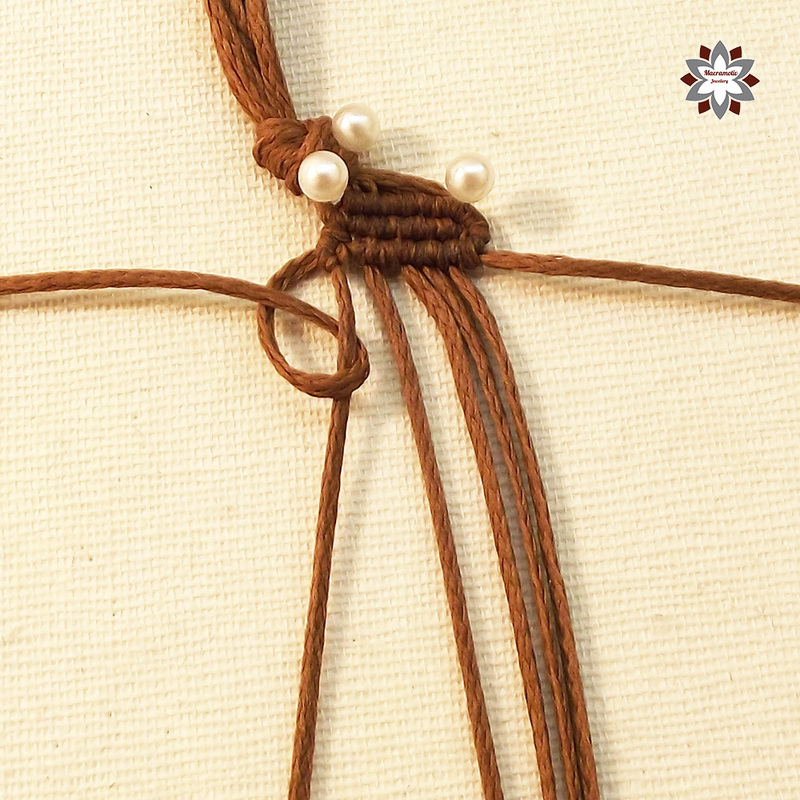 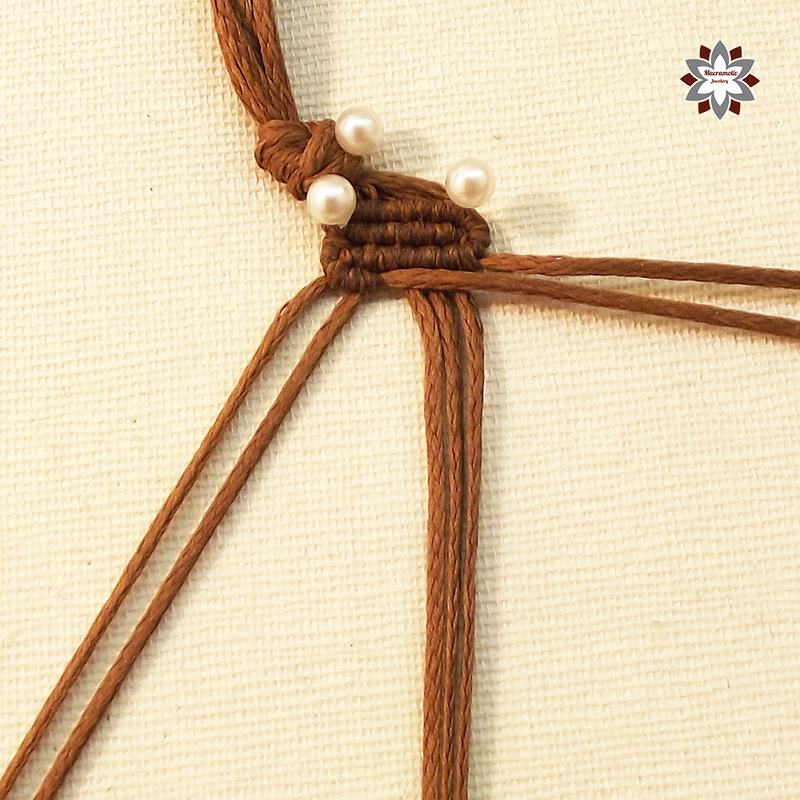 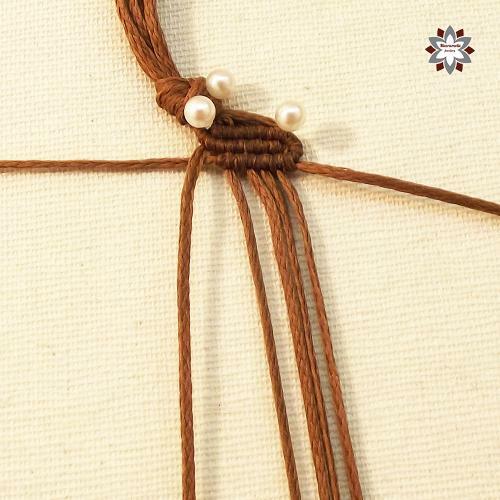 After you carefully make the first knotted bracelet with this technique you can understand how and where the cords are going and you can find out how many cords and where to put them to make your own version with the colors. 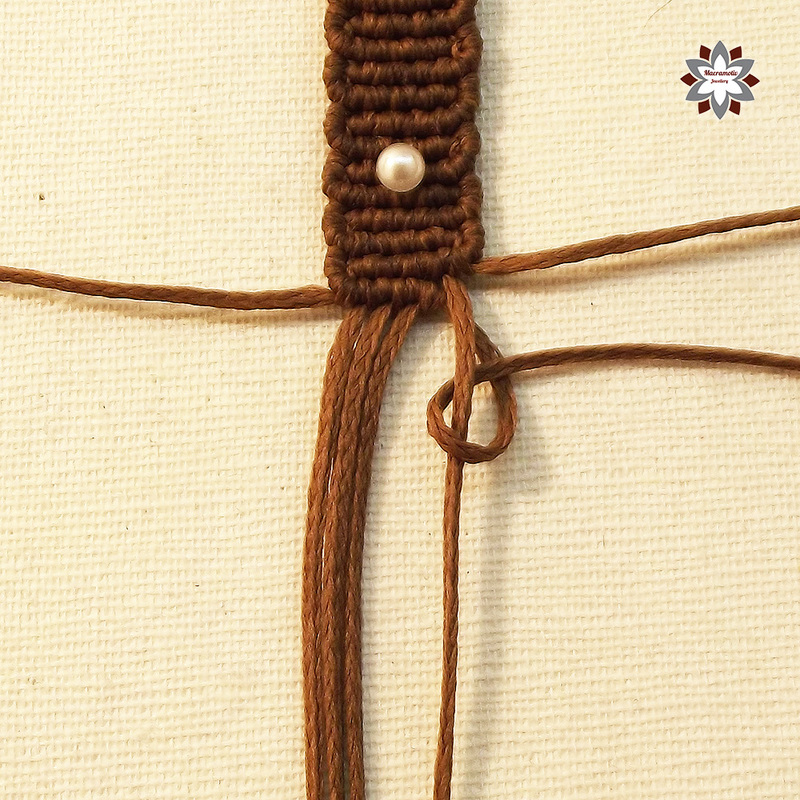 This time I did not make both endings the same, there is slight difference between them. 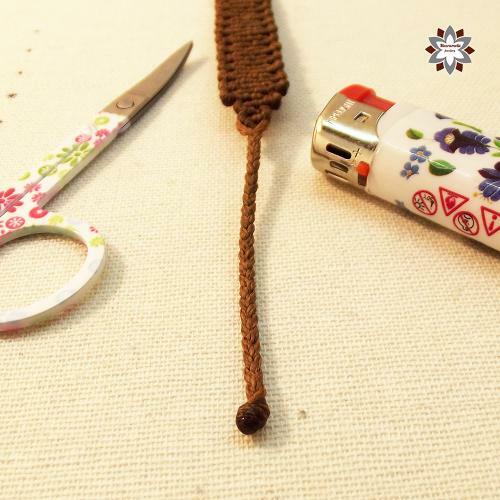 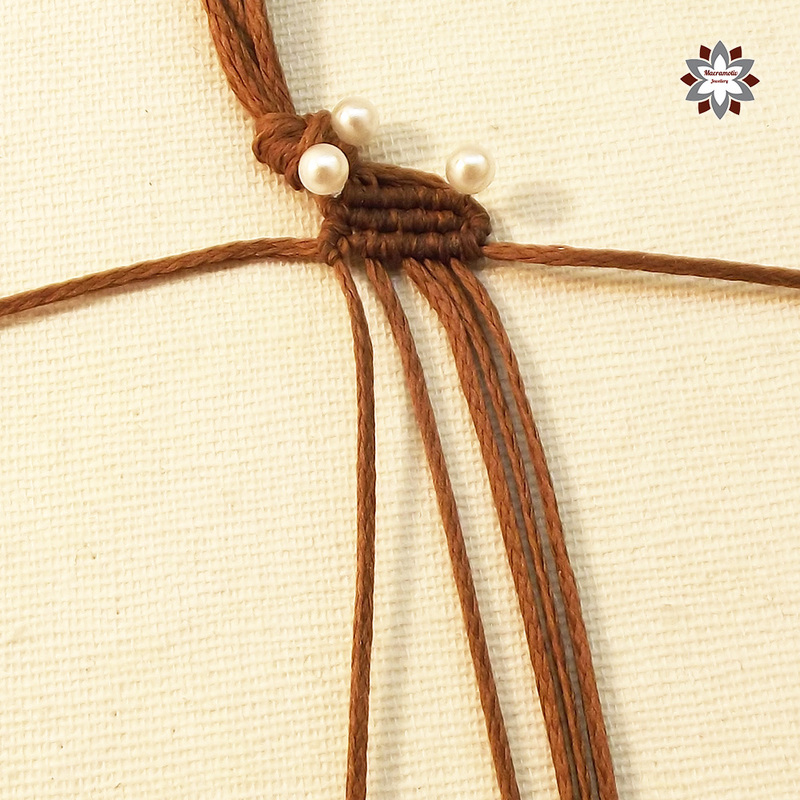 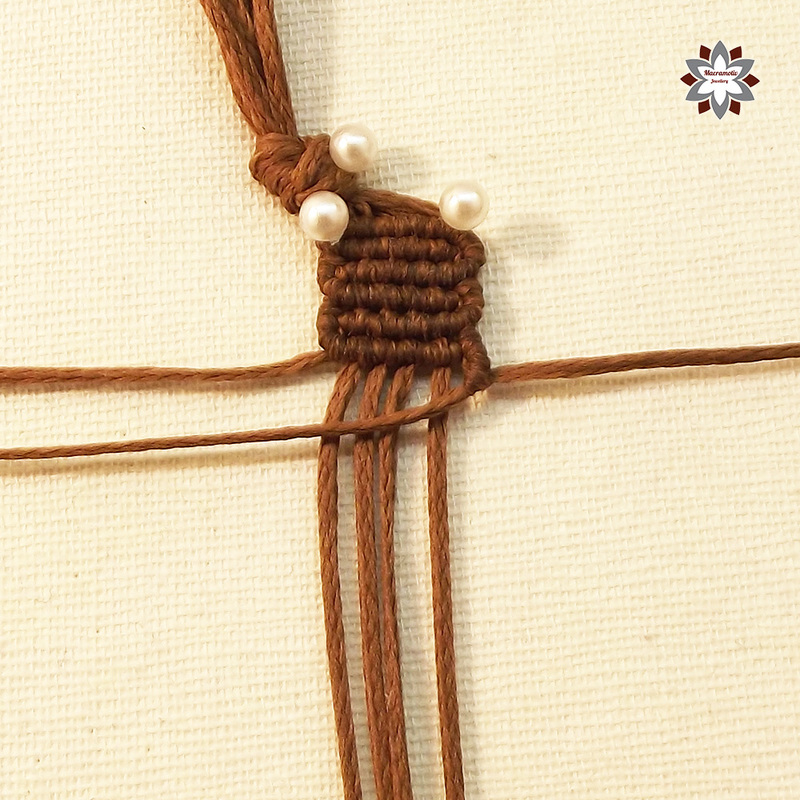 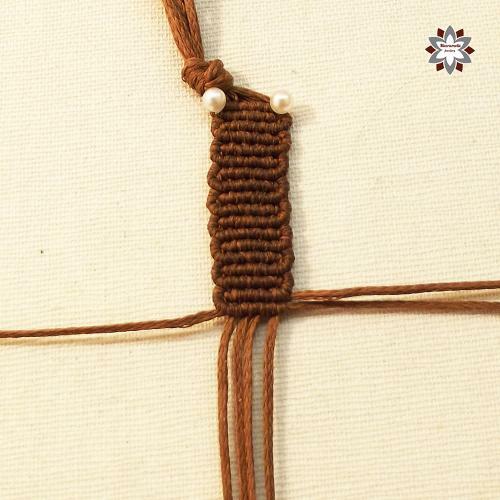 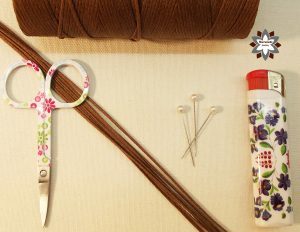 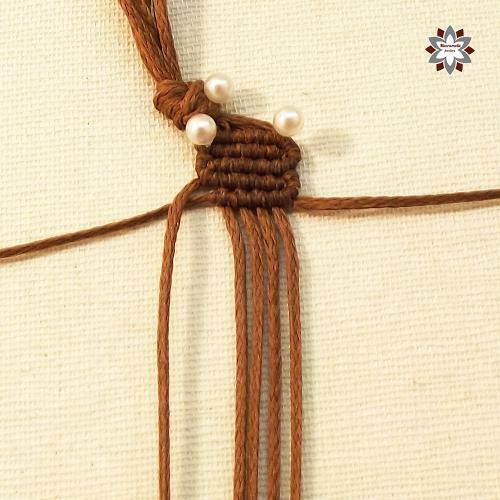 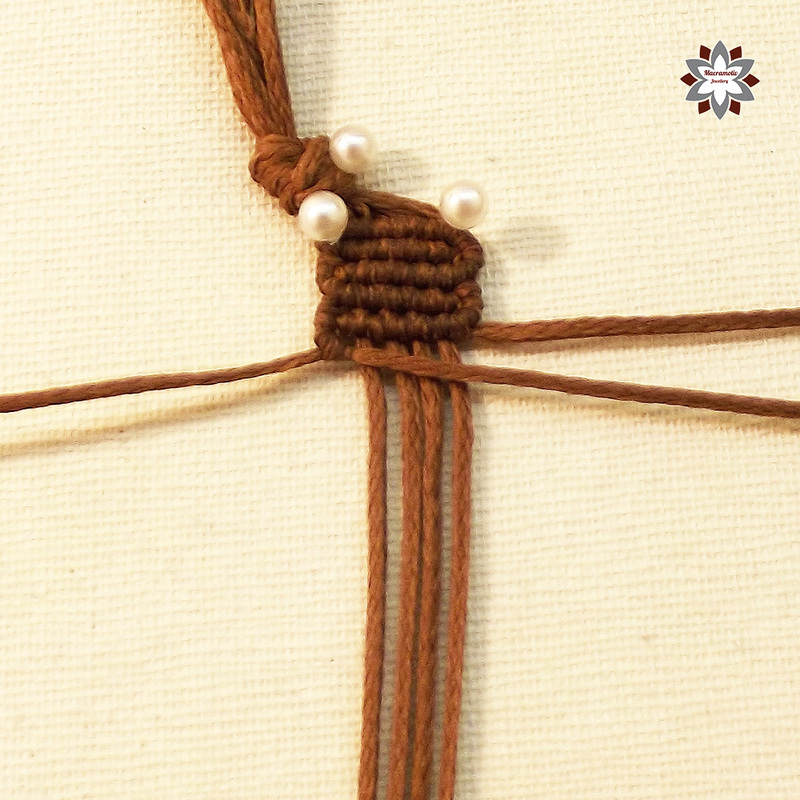 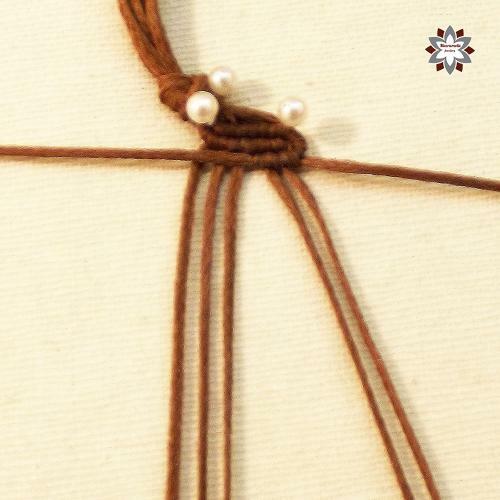 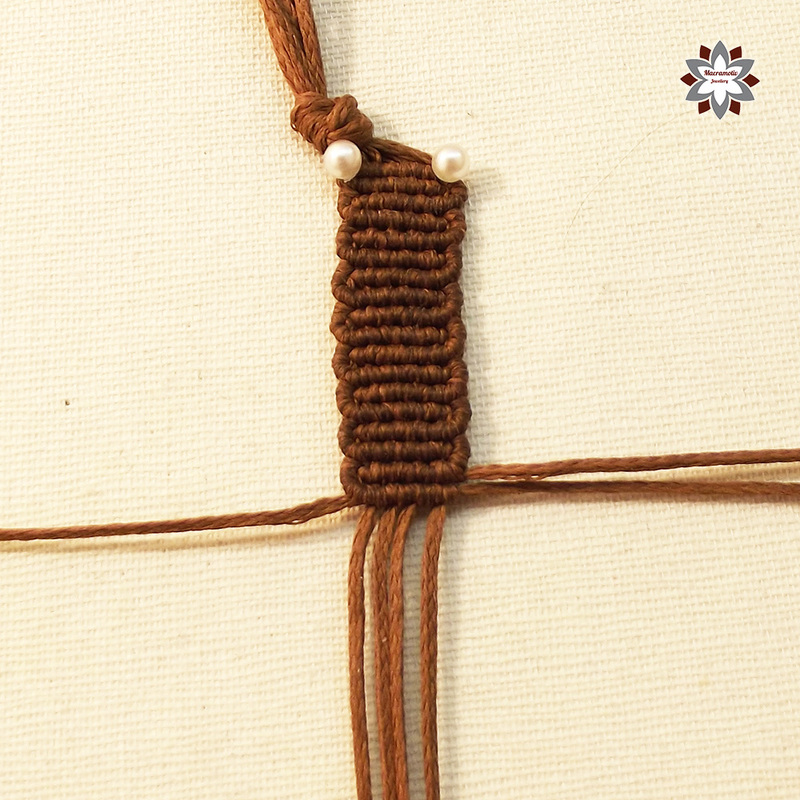 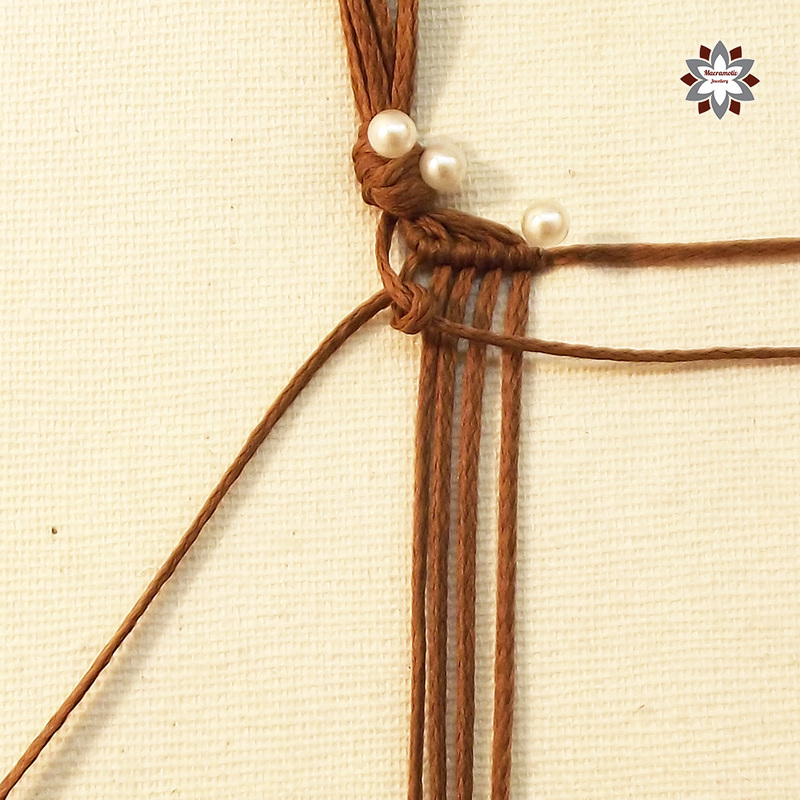 I used turkish braided waxed polyester cord, which I bought at a sewing supplies shop. 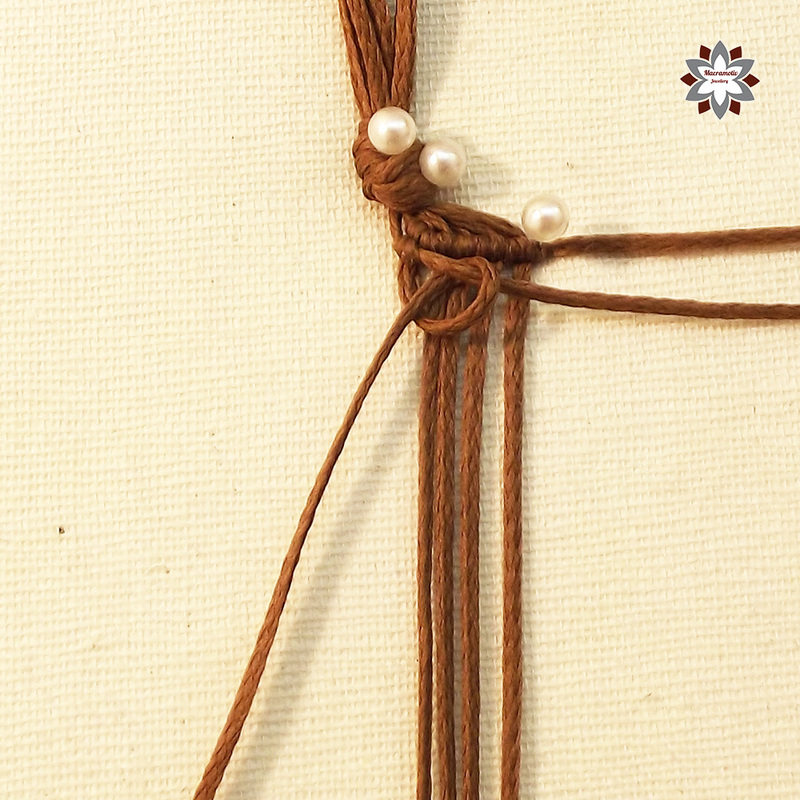 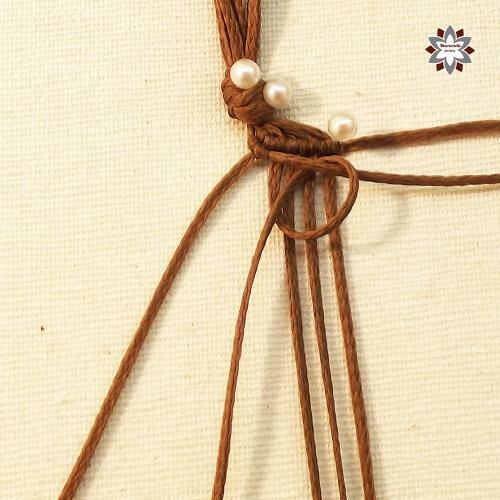 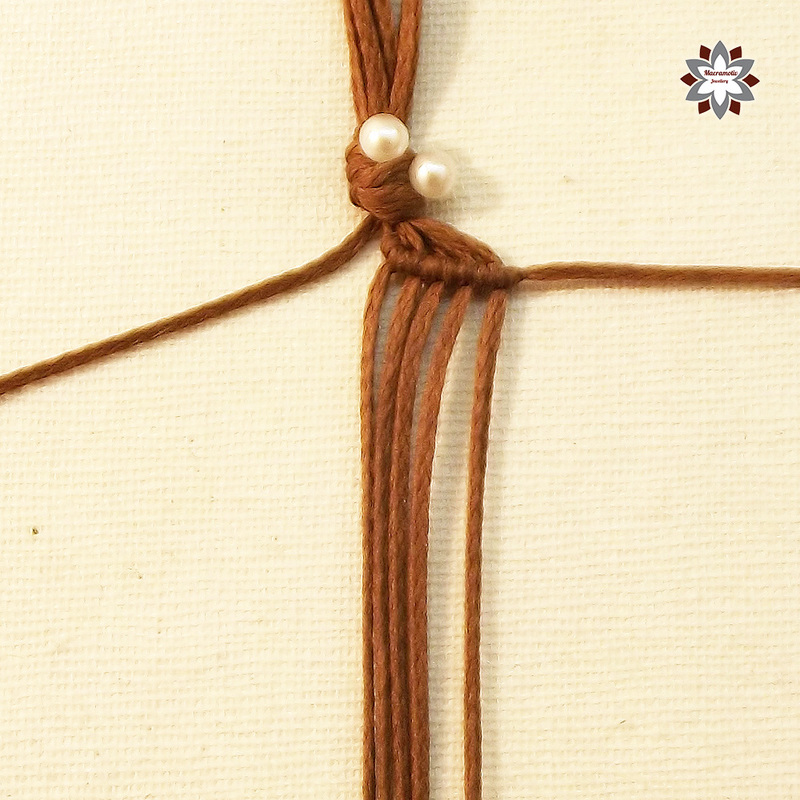 7 x 135cm waxed polyester cord (1mm).